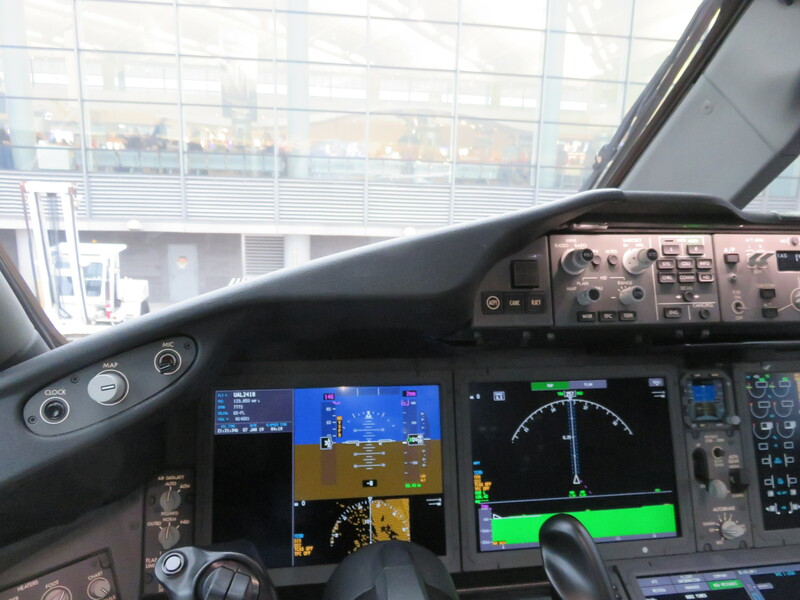 It seems that of all the things on an avgeek’s list, the launching of a new aircraft type is one of the many items on a bucket list that need to be checked off. There are other list items: new routes, aircraft type retirements, and special flights. 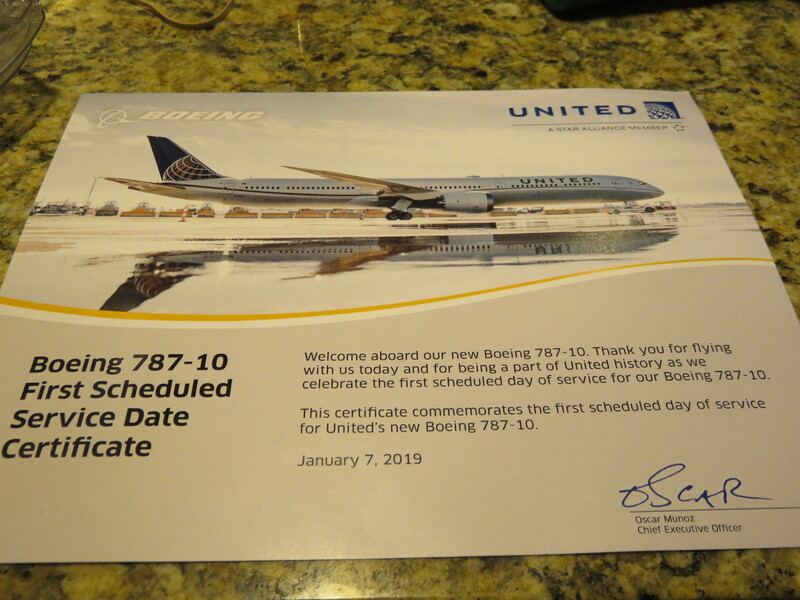 Having completely missed the boat on the UAL 747-422 retirement, I decided to jump on another opportunity: the inauguration of the 787-10. 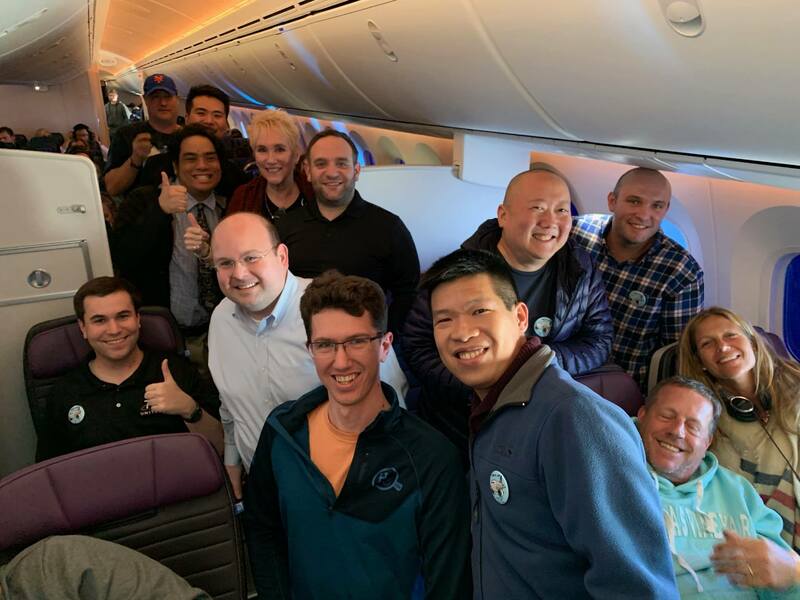 Fellow A.net user UAL763 was kind enough to invite me with the great and magnanimous UAL 1K Premier Group, who I am very appreciative for letting me tag along on this adventure! Booking was a breeze, jumping on this in early October, 2018 to get a great price on an IAD-LAX-EWR-LAX route. I’ll spare you IAD-LAX and EWR-IAD legs, for there are a legion of 737-900ER and E145 TRs out there. But, as we say in the Flight Service business “details available on request”. However, as is my luck, this flight would not be the first revenue flight for N14001, being pressed into service during the busy holiday seasons. Nay, by my (probably bad) count from Flightaware, Ship 1001 had 7.5 roundtrips in which she began to earn her money for United. This is the genesis behind the title of the TR here. 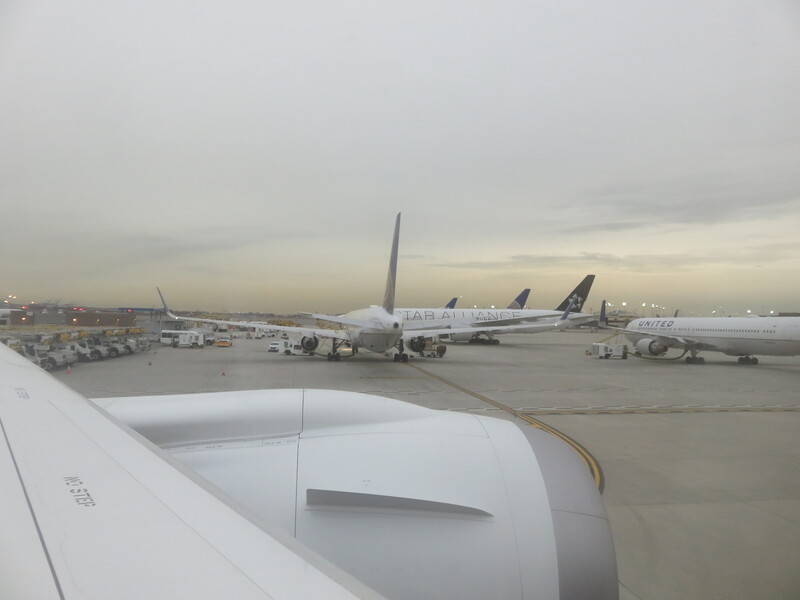 Every cloud has a silver lining, and that meant coming into LAX the day before and enjoying much aircraft-related divertissement. 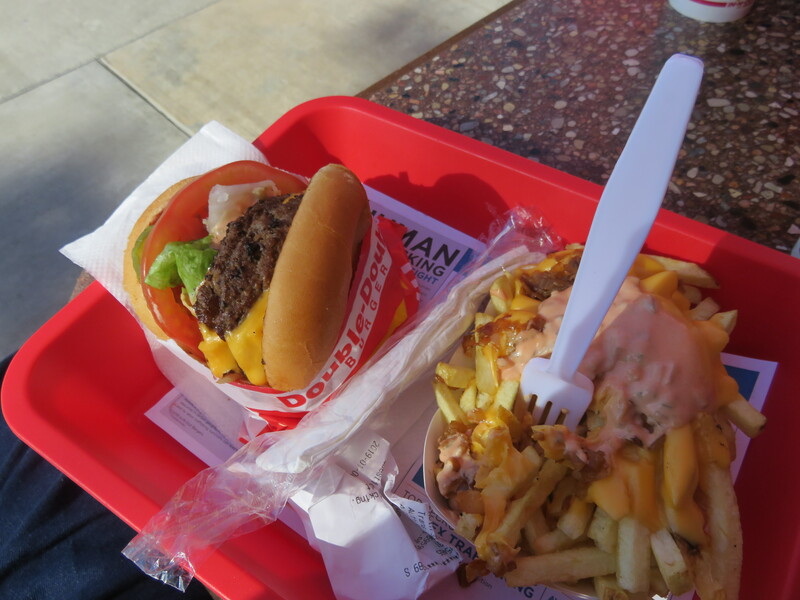 Burgers *and fries* animal style. Happiness can be bought! After a rewarding spotting trip, it was high time to head to the hotel, check-in and put my feet up for a spell. As UAL763 was my in with this group, it was incumbent on me to wait for his 739MAX to trudge its way west, which gave ample time for me to admire the LAX RWY25 (south) complex. Sadly, as my camera battery was recharging, that experience will have to be stored in the ze little grey cells. 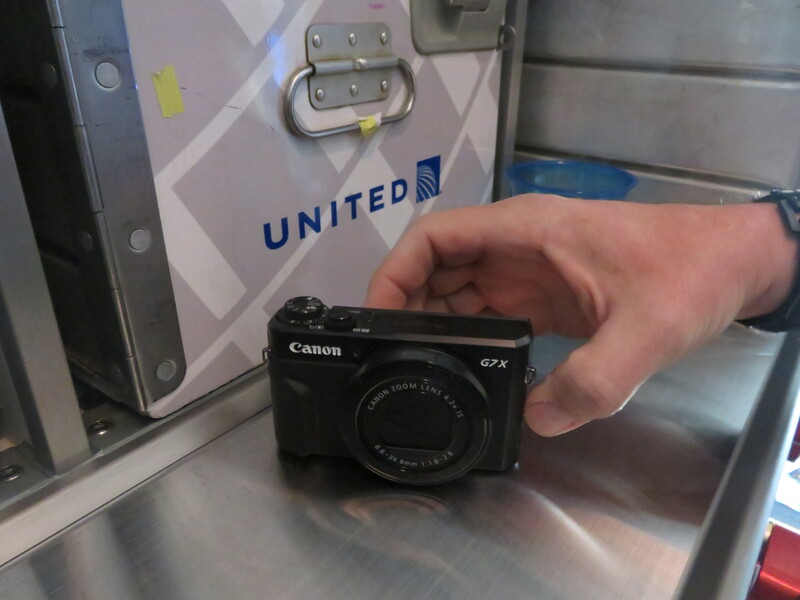 Once that process was complete, we met up with the UAL 1K group in the LAX Hilton lobby, and had a most wonderful meal at the Tin Roof Bistro. 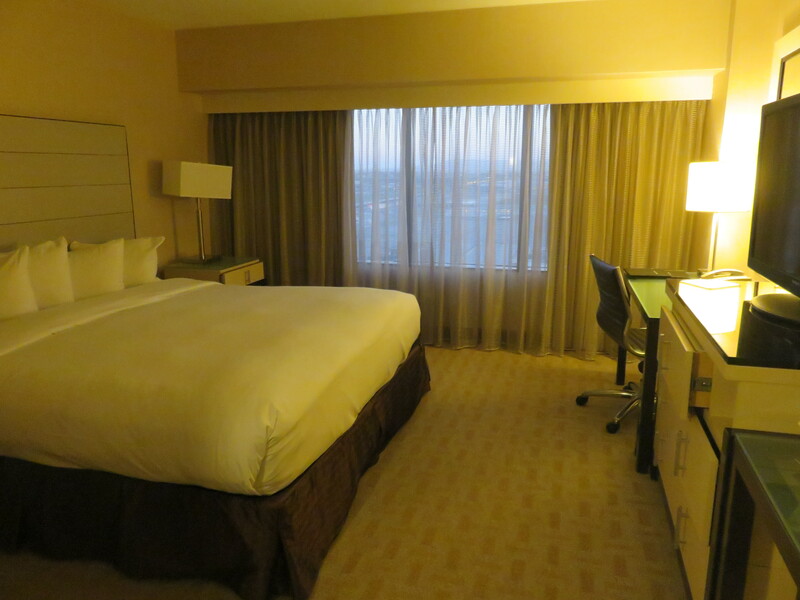 The Hilton LAX Room, South Exposure. Morning was unrushed, albeit early. Once again meeting at the lobby, we were whisked away by the hotel shuttle, for a good luxuriating session at the United Club. The selection was good, but the weather was sub-optimal, making a great spotting opportunity gone with the low ceilings and rainy conditions. 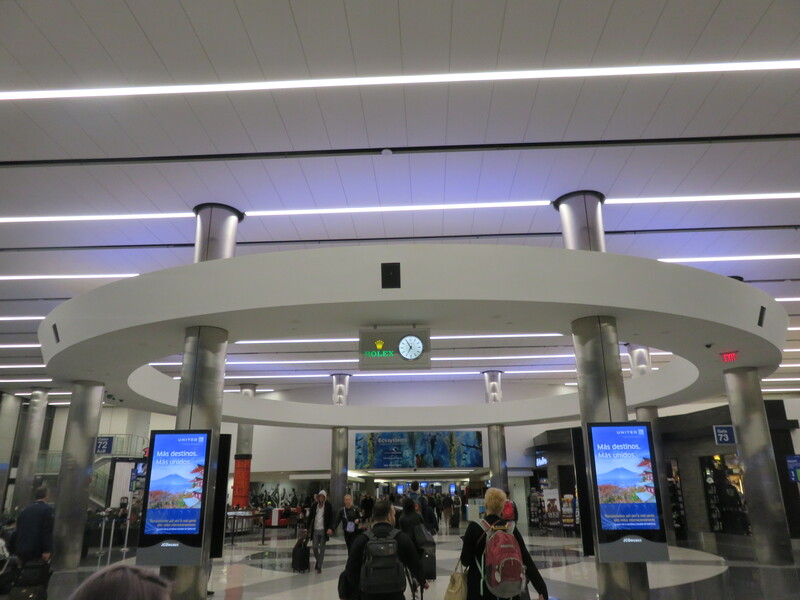 This was my first time in the United LAX terminal since 2008, and I must say the revamp was quite noticeable. Morning at the United Club. 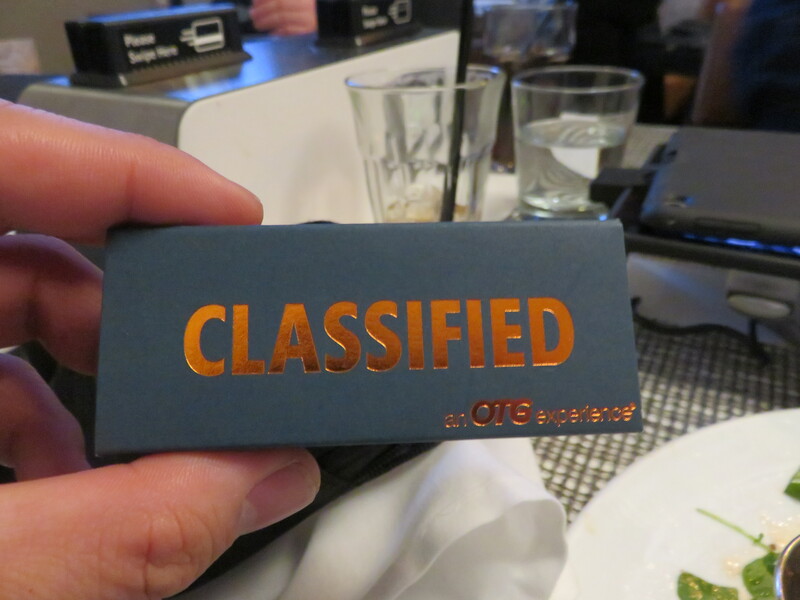 Button provided by 1K Group Member Kevin-quite the popular item. Still the same cramped terminal, but with better lighting and terrazzo flooring! 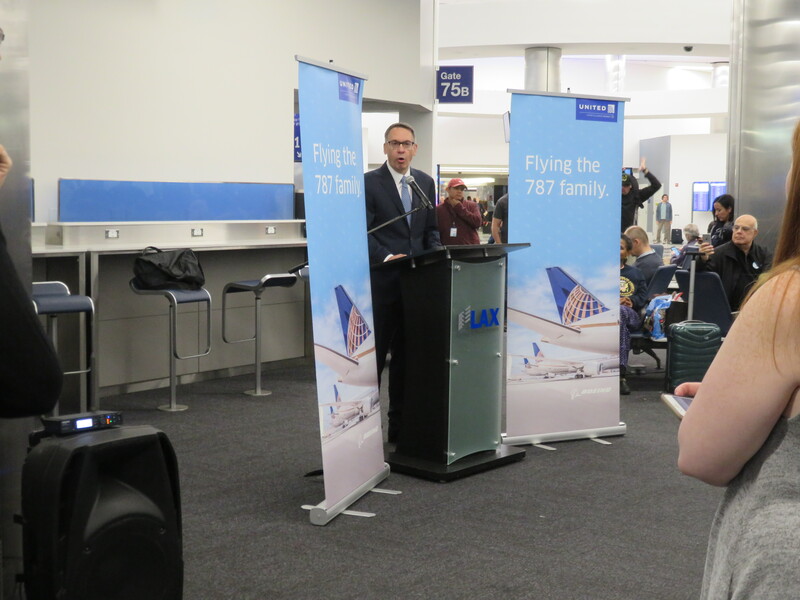 Fate, it seemed, would allow us to keep our appointment with history as United still deemed this the “First Scheduled Service Date”, and therefore the first official day of B78X operations. 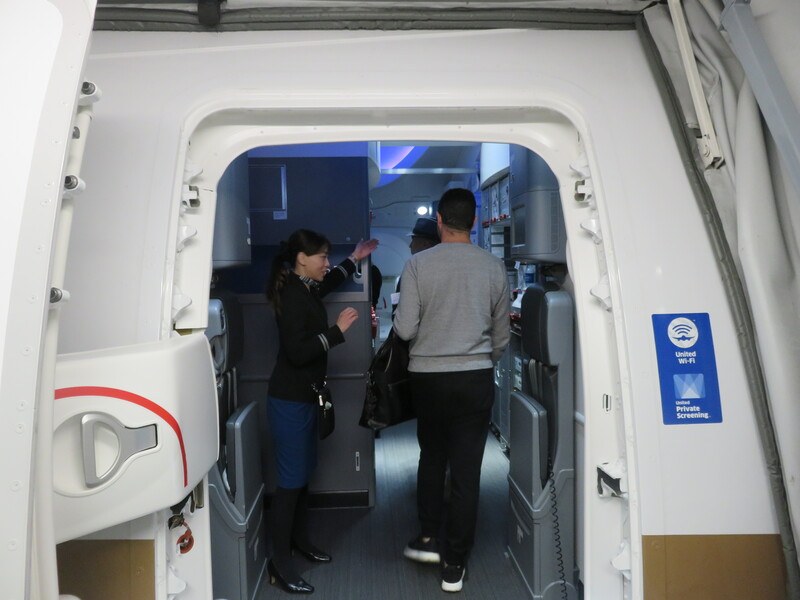 While there were previous revenue flights with this airplane, I term the those few flights as the “soft opening”, whereas this is the grand opening for a hopeful several-decade run of the 787-10’s career. In any regard it was special to be part of a fleet that (at the time of writing) numbered about 12 active and operating aircraft worldwide. 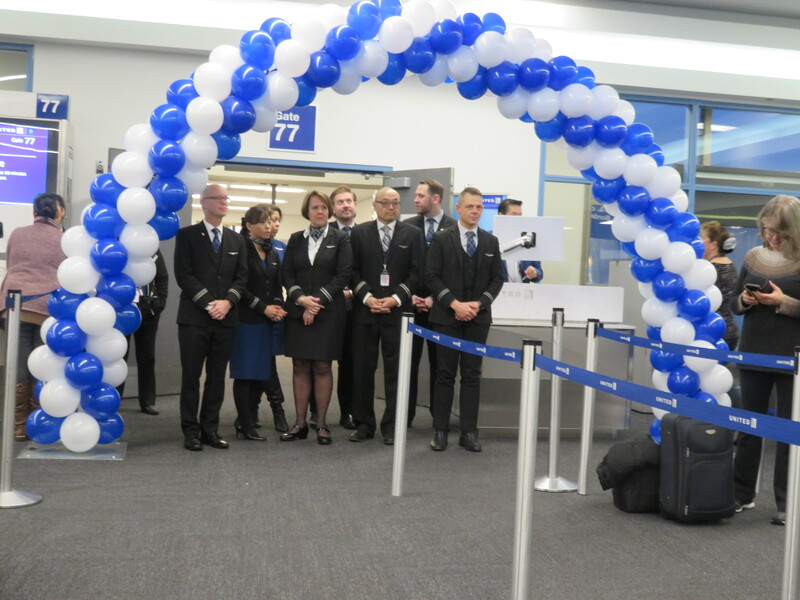 Special still, the requisite Pomp and Circumstance was afforded by United and Boeing executives, having a short program of speeches before boarding. 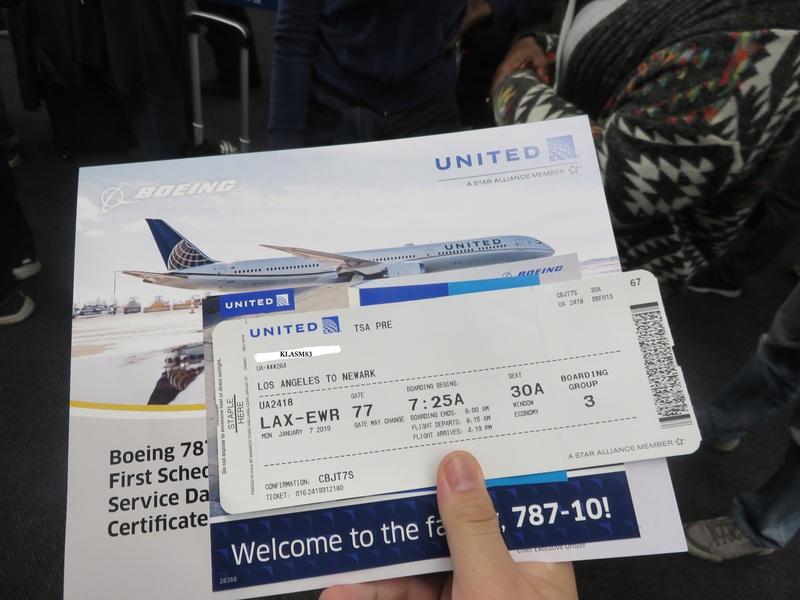 A flight certificate signed by Oscar and a little post card featuring the 788, 789 and 78X was given, as well as a double coupon for free booze. A Boeing Exec delivers a few remarks. The flight crew of UAL 2418. 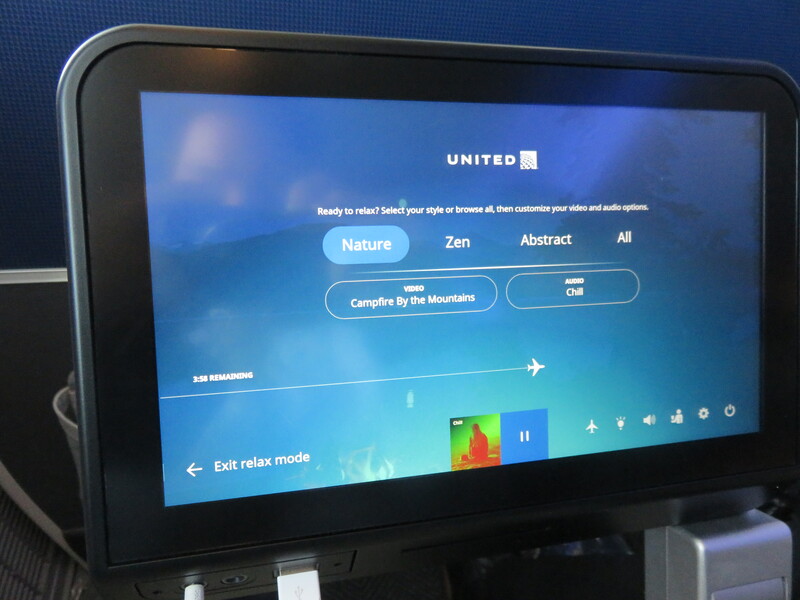 Boarding was started at about 0719, allowing ample time to have a ground lookie-loo at United’s new toy, and get used to the new features. 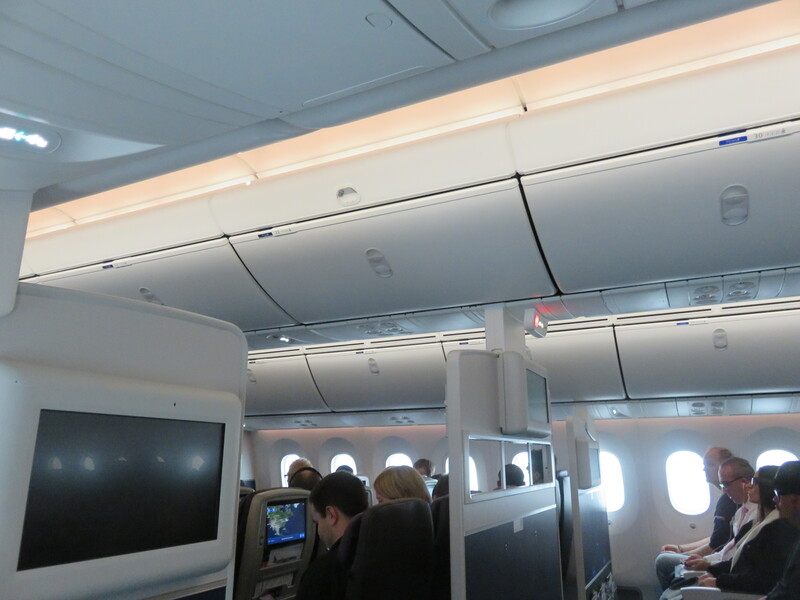 I was a lowly holder of a Zone 3 position, sitting on the sidelines while seemingly half of the aircraft moved onto the shiny 787 with PB, Status and zones 1/2. Once I get settled into Economy Plus bulkhead 30A, the time was nigh to gawk at all the cool new things this bird could do. 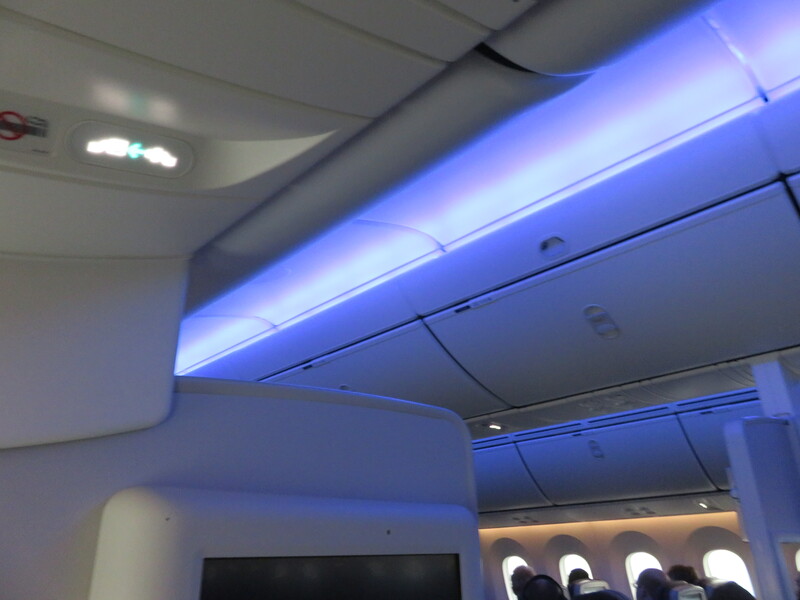 Of note were the new colour scheme for the mood lighting, the darker window tinting and the new hard product of E+. Free stuff, and my boarding pass. SoCal is either sunny and clear-in-a-million or this. Or smog. Or some lurid combination of them all. Better than a one-colored wall. Liking this, so far. Transitioning the mood lighting and window dim settings. Almost as dark as night! The hyped sunset/1980’s pastel panting scheme. Detail of the bulkhead screen. Wish they would have kept that on for when my screen needed to be stowed. 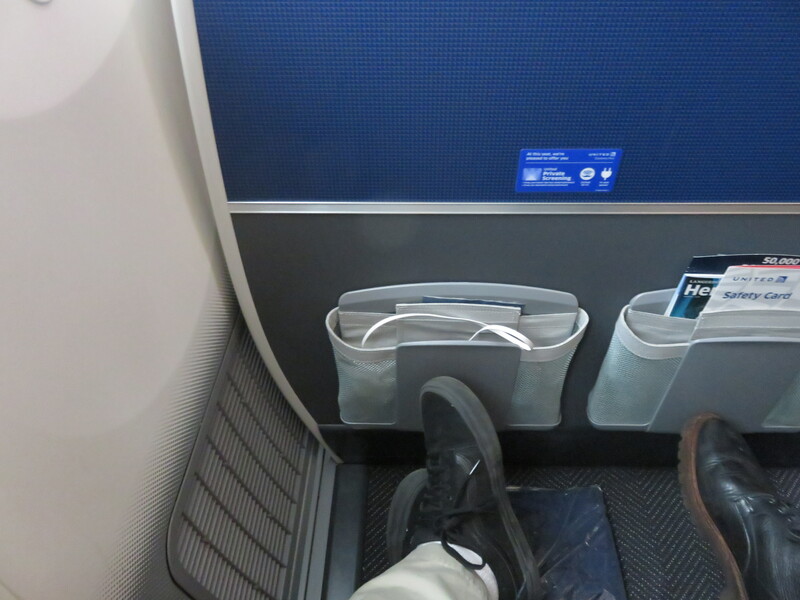 Legroom. Not bad for a 5’11” guy! Unsurprisingly, boarding was completed quite early. 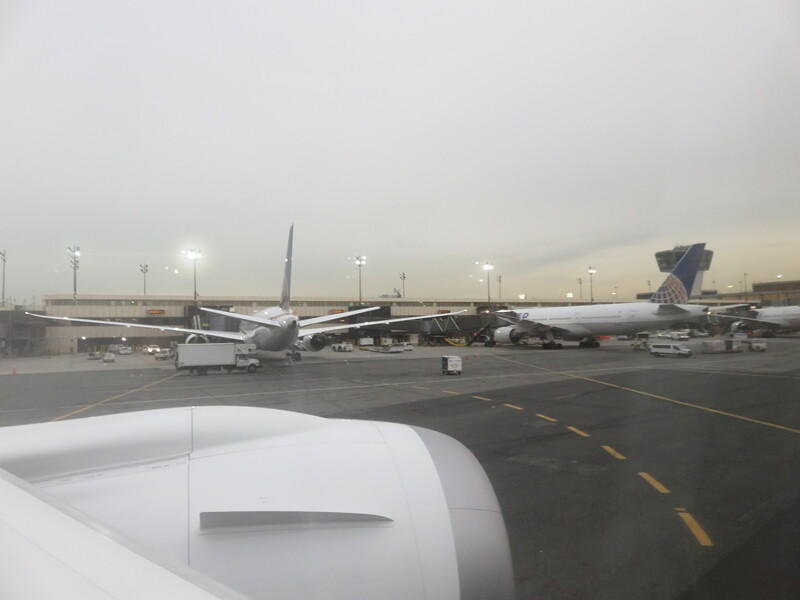 Because we needed to be pushed onto the taxiway, and not the alleyway, this caused a few minute delay as ATC diligently –and for free during the government shutdown– cleared the taxiway to allow us a generous time to start up. 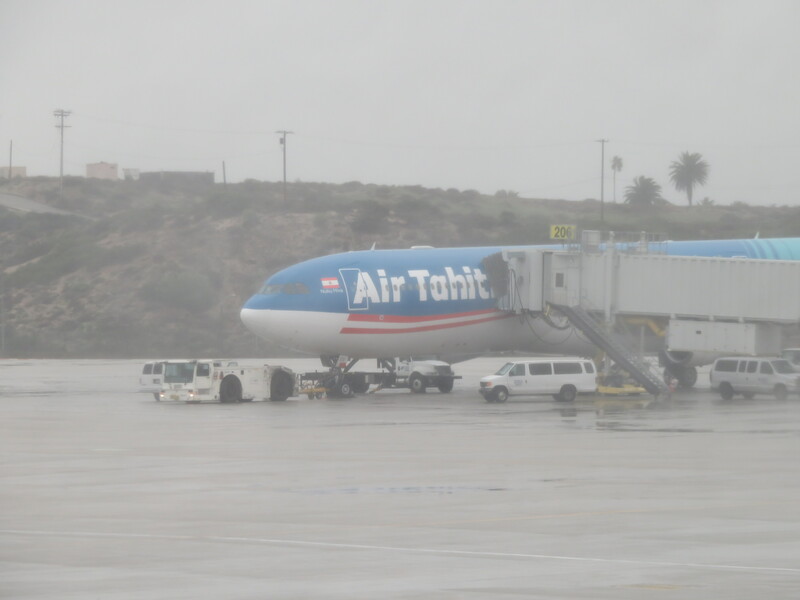 The taxi was quite a long affair, taking exactly half-an-hour for us to reach RWY 06R, but not before a wet, but scenic tour of LAX. Takeoff was powerful, marked with what seemed to be a minimal amount of sound. 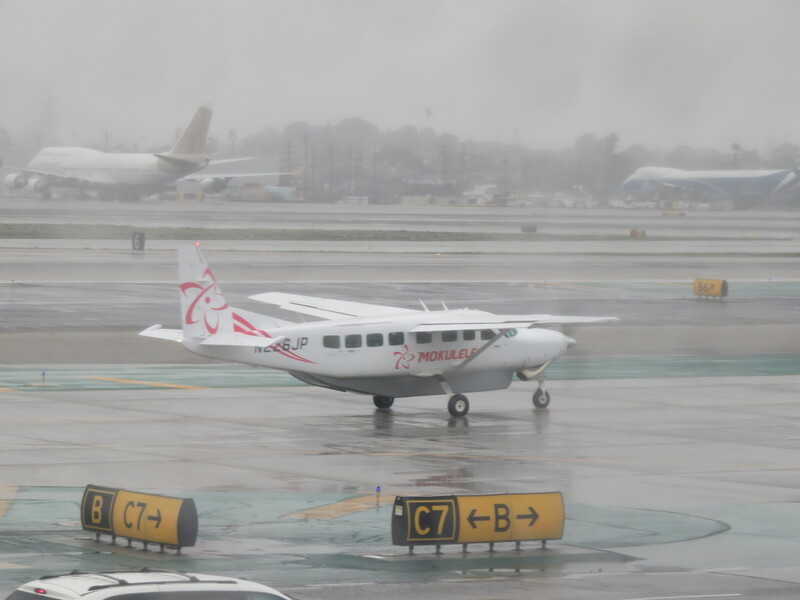 The rain finally washed off our aircraft, letting everyone have an unrestricted view. 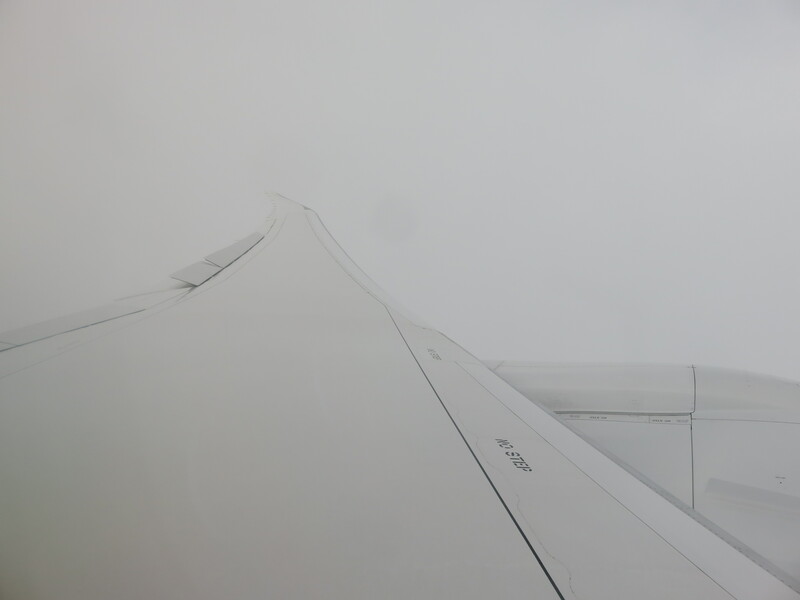 The climb was a minimally scenic view, due to the low clouds that remained during the climbout. 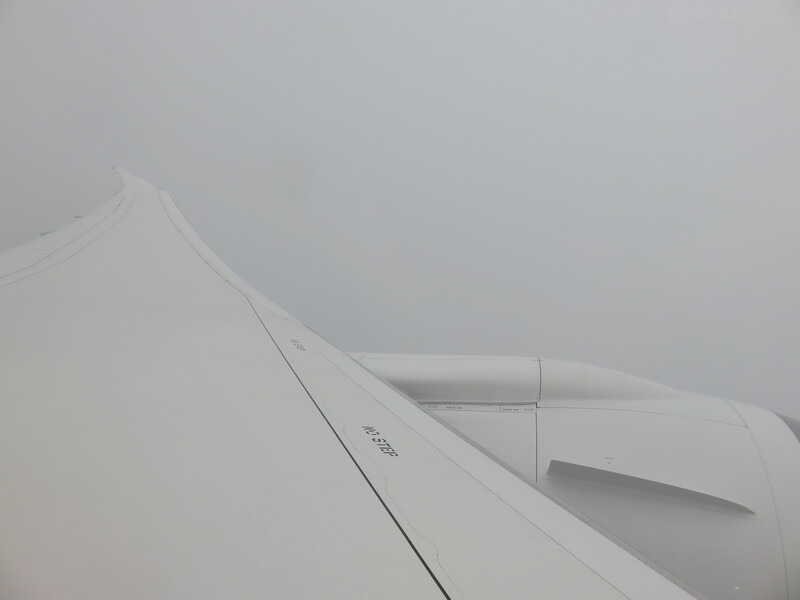 It did allow a seat-of-the-pants feeling of the aircraft’s performance was we quickly climbed on the SID. In the clouds it felt like a fast climber, powerful and eager to reach skyward. 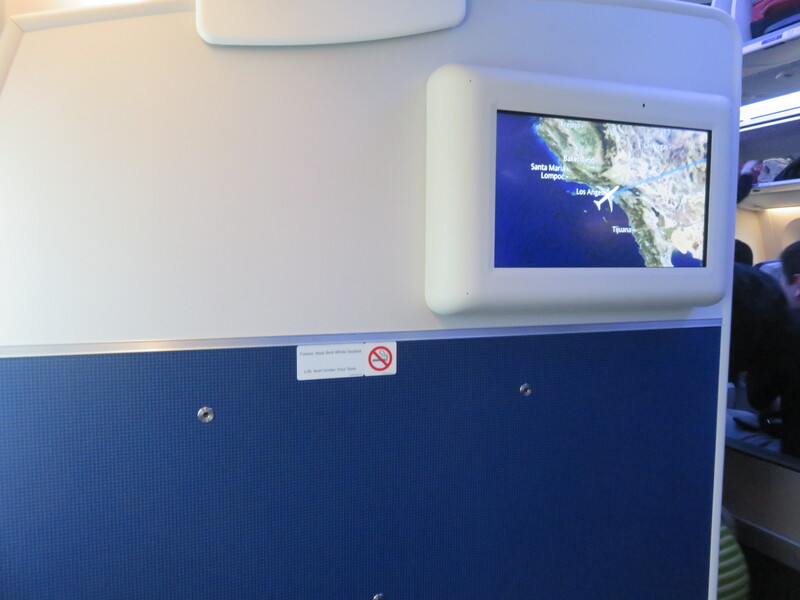 Once finally clear of the clouds east of LA and over 10,000FT, it was time to take some peeks at the scenery, and finally pull out the IFE from the armrest and see what is offered. 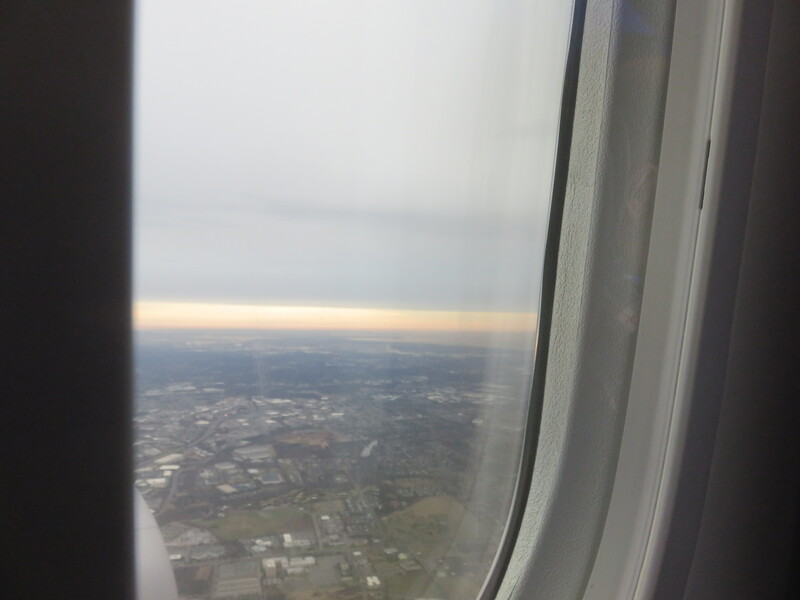 The view from seat 30A. 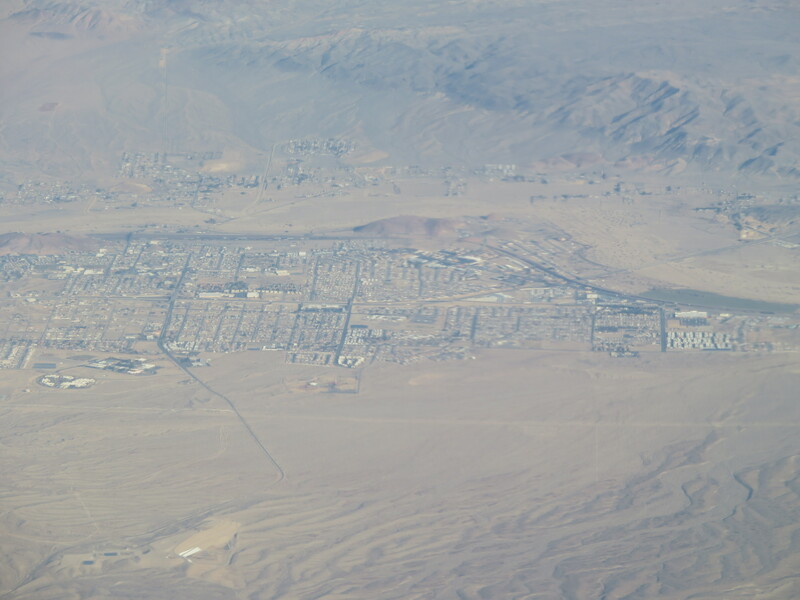 Beautiful GEnx engine and Victorville, CA. If you want to know where the western end of I40 is, wonder no more: Barstow, CA with I-15. Main menu after set-up and initialization. Great flight data! Excellent for a nerd like me. 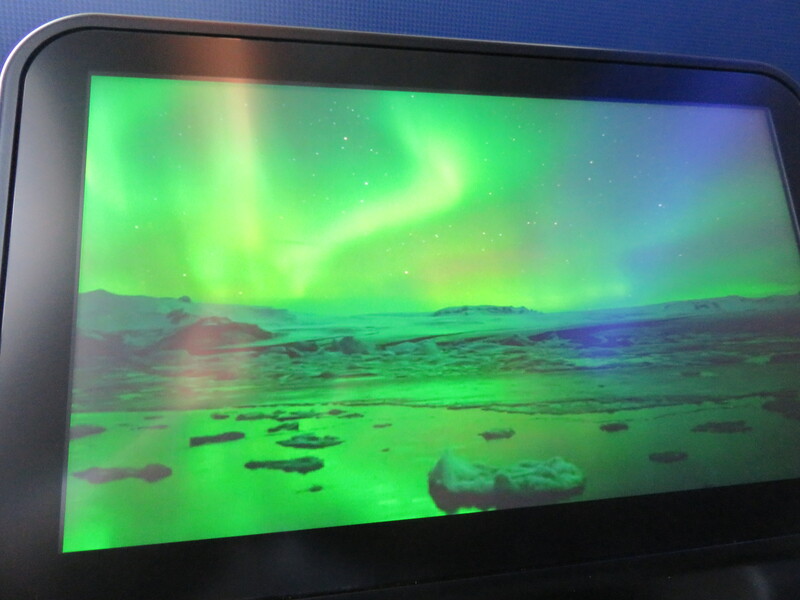 A neat feature of the IFE on the 78X is the “relax mode” which allows the user to define which music mix and background they want to see. 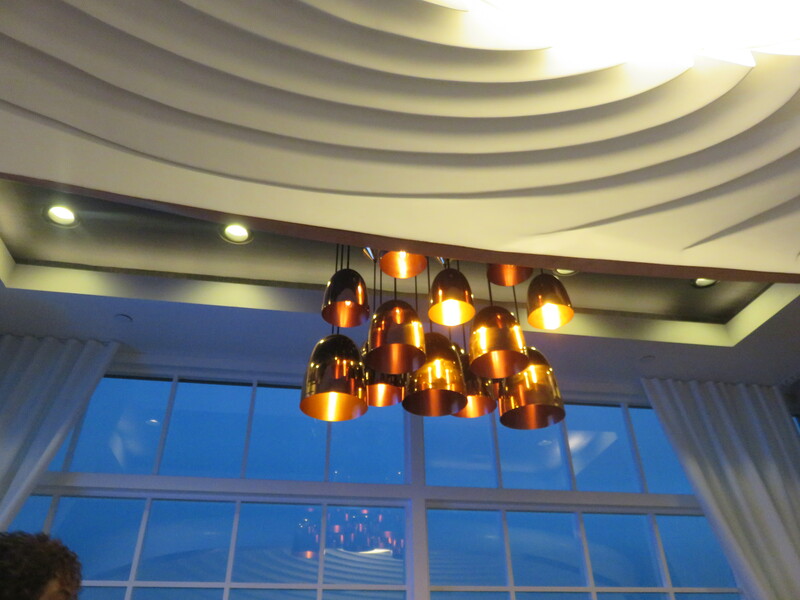 Calming scenes intertwine with a select set of pre-defined playlists that loop. Sleeping kitty. As close to a having a cat I’ll ever get. Dang allergies. 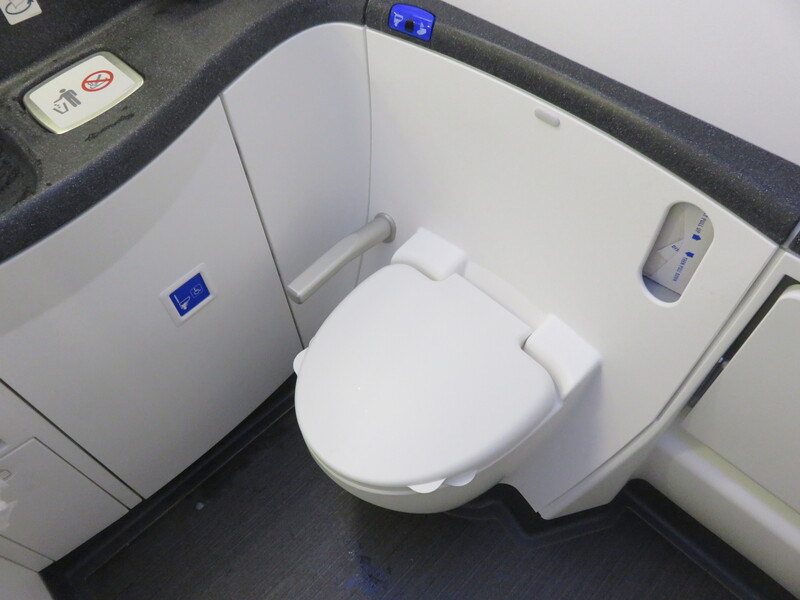 The seatbelt sign was extinguished, and it was high time to sample the facilities-this time the door 3L lavatory. 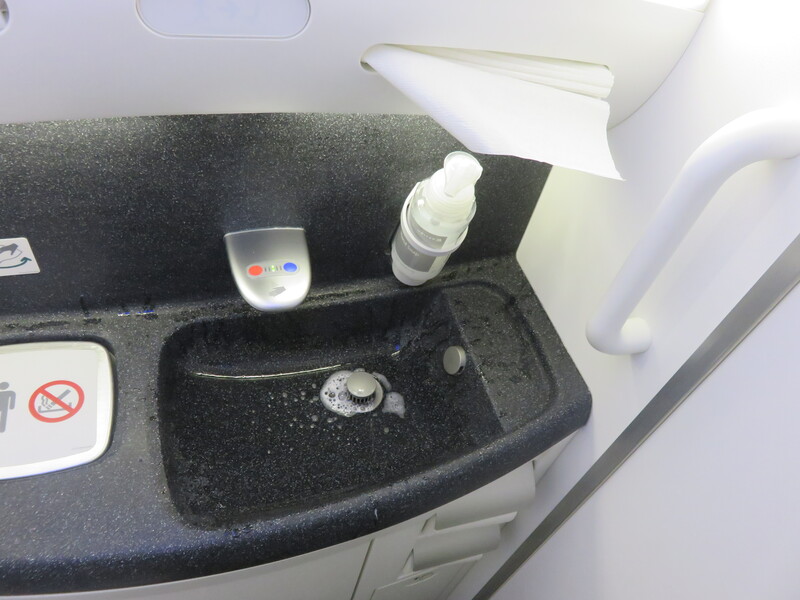 This is the first aircraft lavatory that I’ve experienced to have touchless flushing and sinks. An added bonus was the hot water was instant when you pushed the button to the “hot” setting. 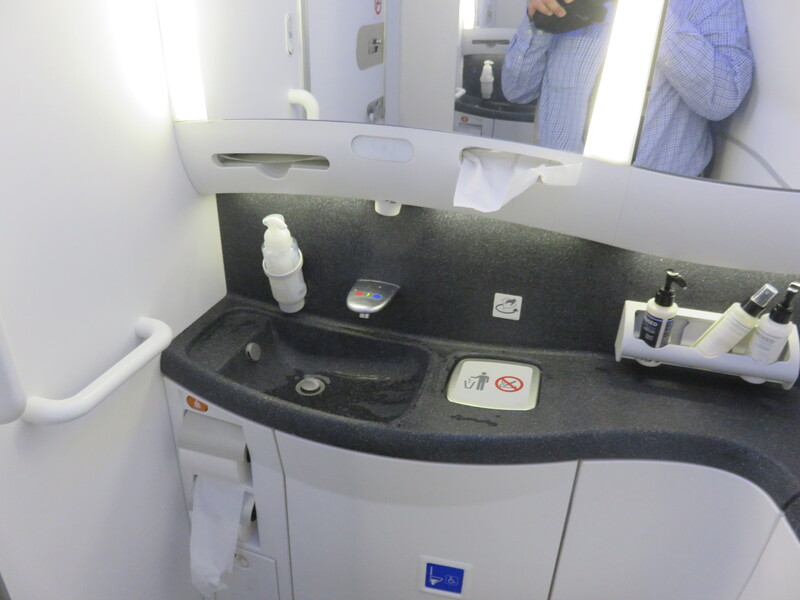 The regular lavatory (pun intended) was spacious, well-lit and still within the cleanest part of its life. 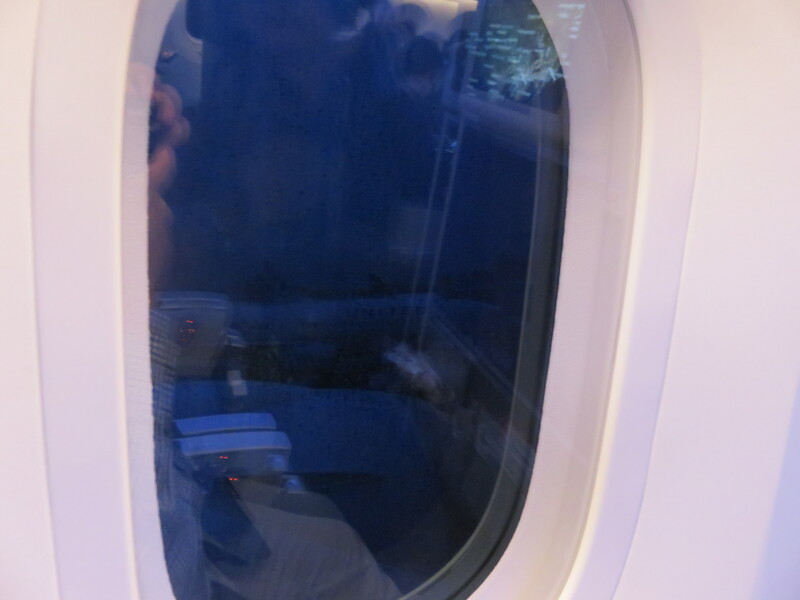 It was also nice to see how big it was, but perhaps it seemed that way since I was on a UA 739 the previous day. 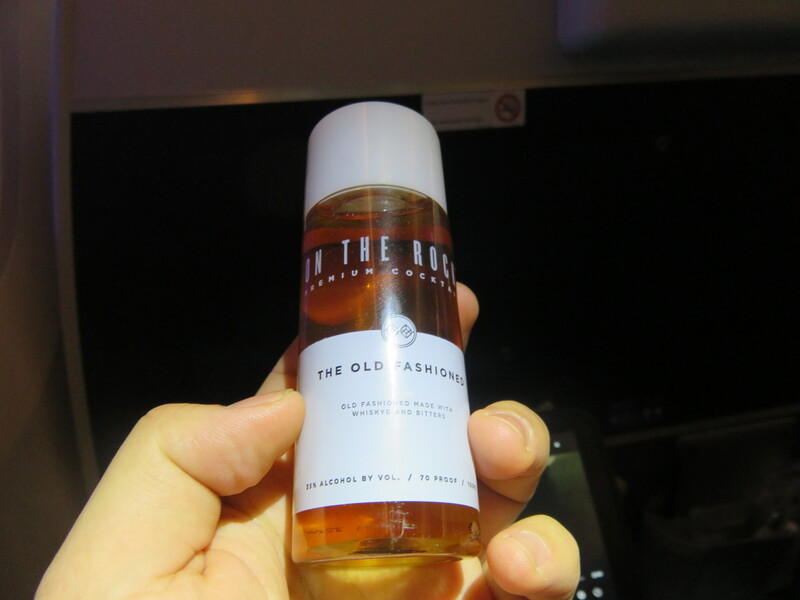 With the needful done, inflight service wasn’t far behind. 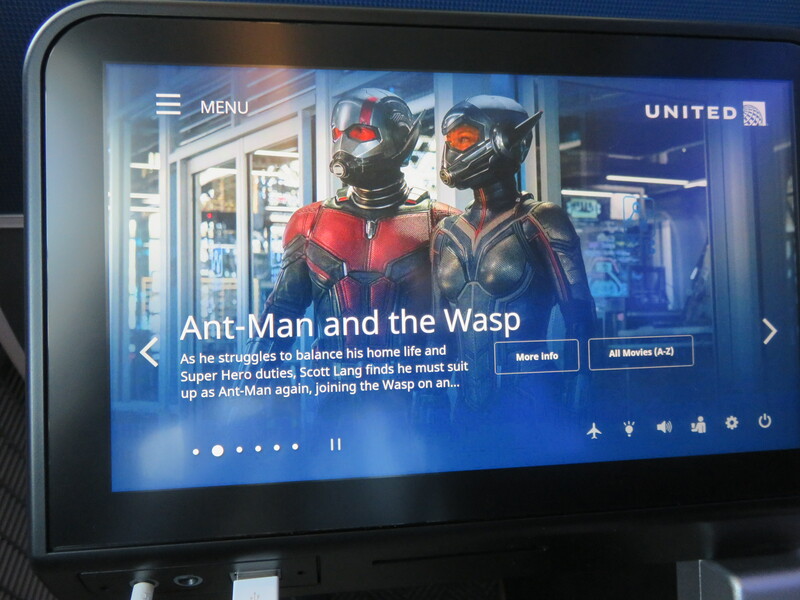 Traytable out of the armrest, stomach at the ready and Wes Anderson’s Isle of Dogs spooled up, it was time to sample United’s Premium Transcon service. For those of us in E+, it came with a hot meal, a choice between French toast and eggs. Additionally, alcoholic beverages are free which makes this flight all the more better. 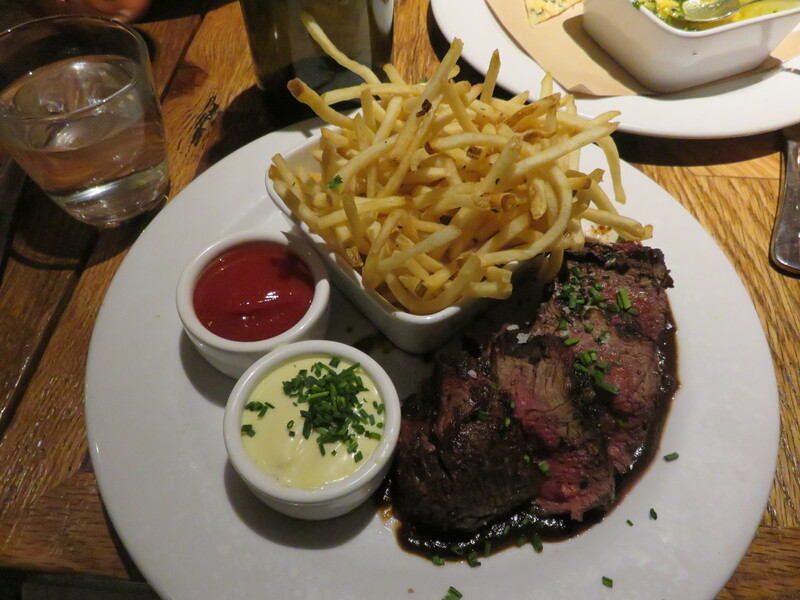 The portions were quite generous, and there was much more on the tray than I anticipated. The stroop is back, folks!!! With the orange slice, this is amazing! 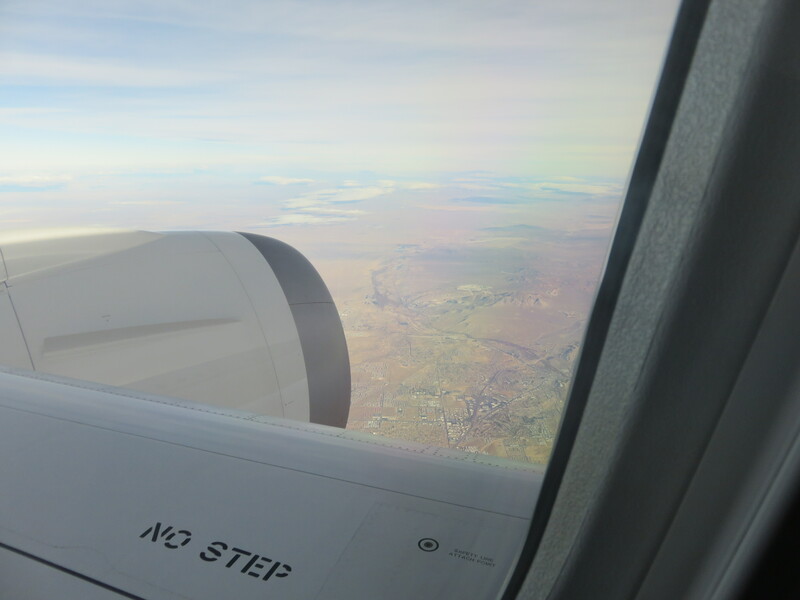 With breakfast cleared, turbulence once again returned over Colorado, which nevertheless allowed me to further progress in my movie. Wes Anderson always puts out a solid film, and this one was worth the re-watch while I waited for the unruly Jetstream to let us out of its grasp. 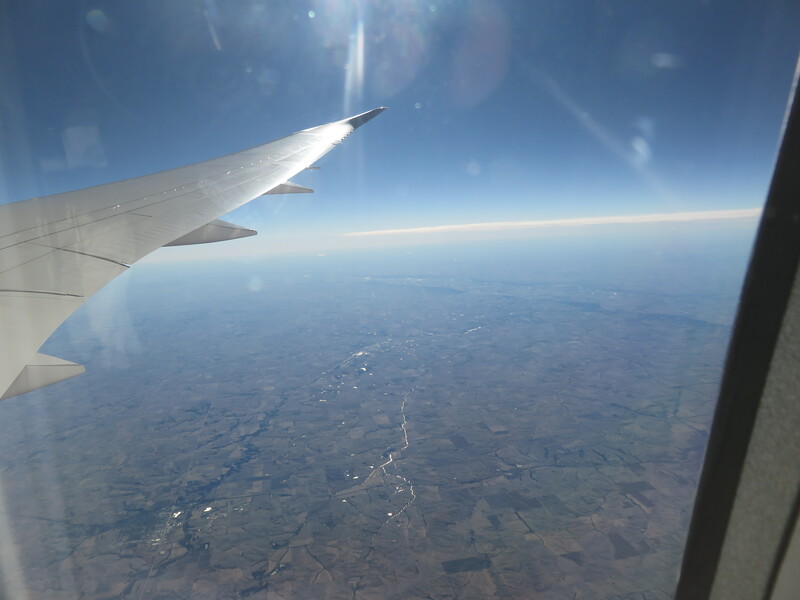 Somewhere over Nebraska, that exact thing happened, smoothing the way for a full cabin walkthrough, and leading to many great chats with Boeing executives, fellow Avgeeks and the crew. Turns out the door windows dim, as well! 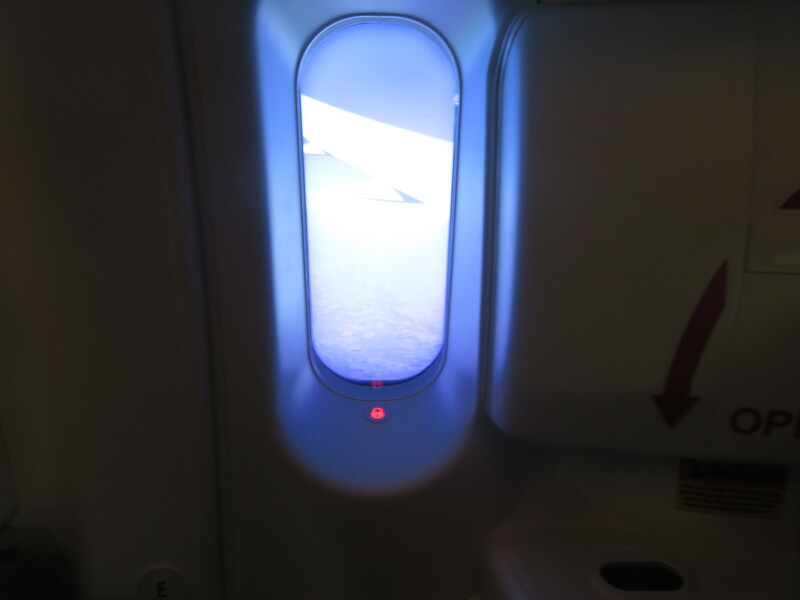 Economy Plus cabin, from the door 3L vestibule. Omaha, NE. Little King Subs are pretty good if you ever end up here. 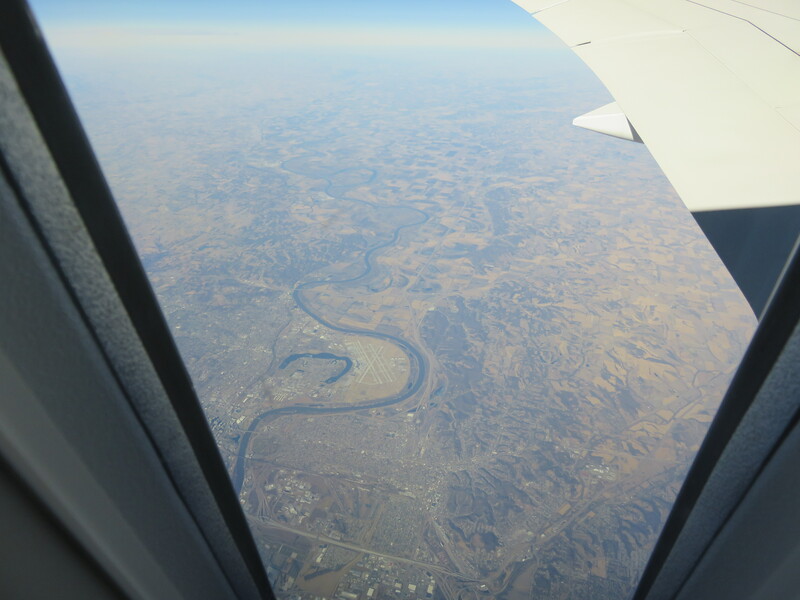 The view of the Missouri River valley from door 3R. Note the wingflex and how the tip is in shadow! New plane? How about an 17 year old ATLAS container from Continental. Cool! Polaris bathroom at door 2L. Also serves as the ADA bathroom, too. Still, it’s so big!! 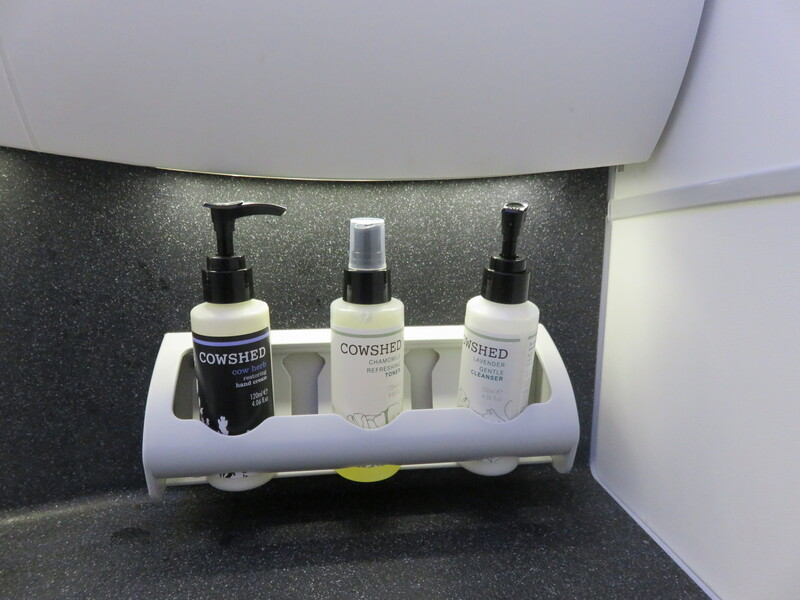 I don’t normally wash my hands with things from the Cowshed. Trick I learned in North Dakota with livestock. Perfectly polished, prominently placed Premium Plus placard. Say that ten times fast. I dare you. The 787-10 1K Fauxgural Crew, and a few extras, too! 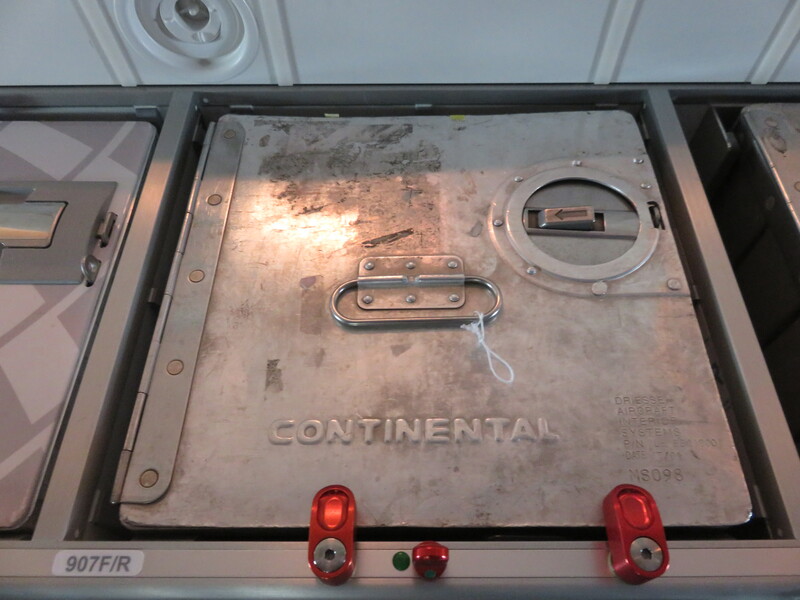 Back to the 3L/R door galley to chat with Avgeekpete about his Cannon (taken with my Cannon). The seatbelt sign came on as soon as we made it to Michigan, cutting my conversation with Avgeek Pete and Daniel from Avination short. 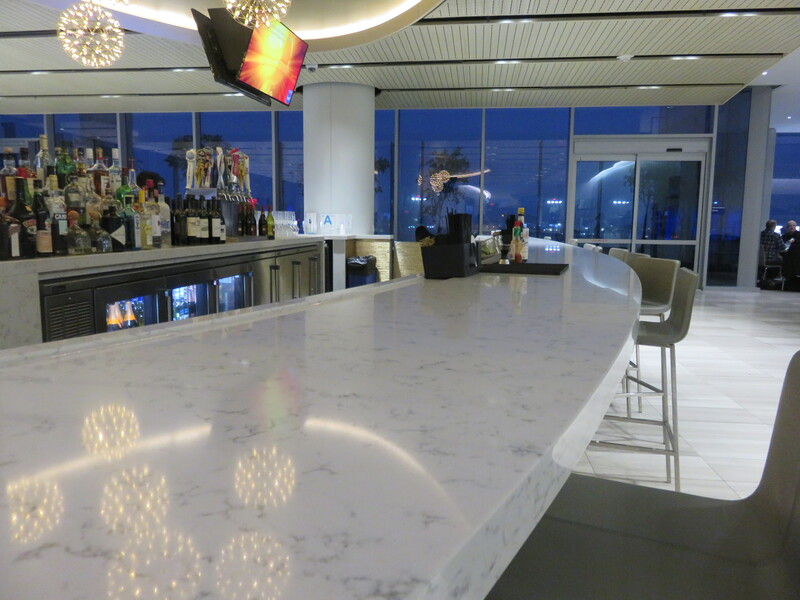 While the seatbelt sign was on, that didn’t stop our intrepid crew from getting the 2nd full beverage service done, replete with a fruitcake-looking snack bar. With Isle of Dogs completed, the IFE helpfully suggested shows one could watch complete with the time left. 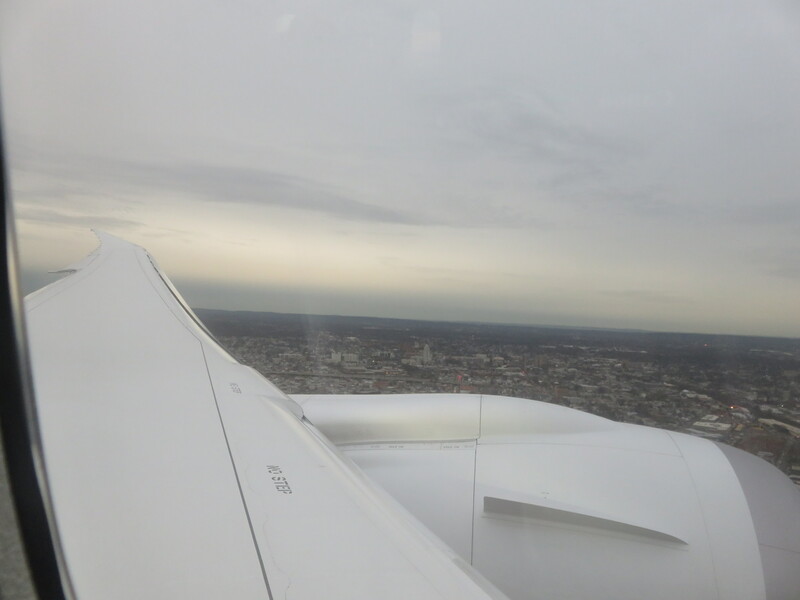 Descent and landing into EWR was, per the usual, filled with vectors and lots of time spent at 5,000 feet as we buzzed the more affluent and far away Jersey suburbs of New York City. While I admire the controllers of New York Approach, I can only imagine the flummoxing task of needing to work a heavy 787 into a flow made up of A320s and 737’s. 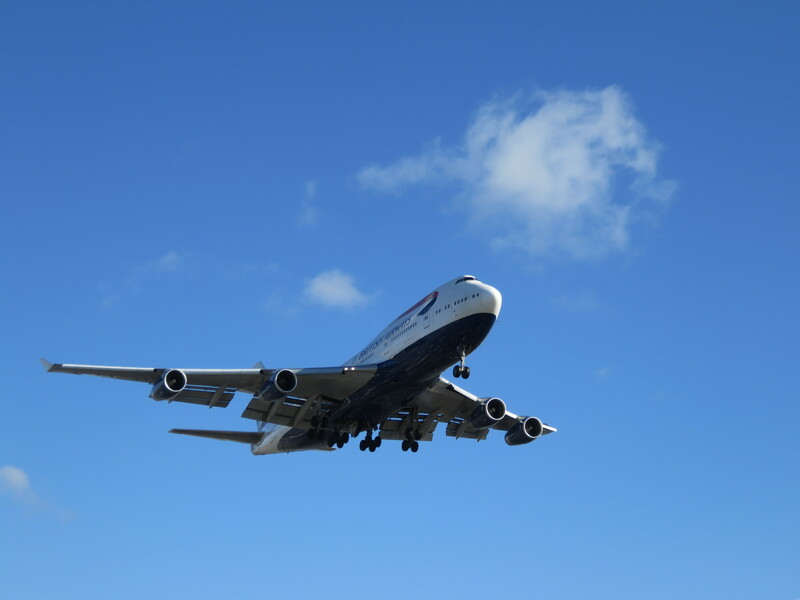 But they did it, giving us a picturesque (well, for Jersey, anyway) approach and landing. 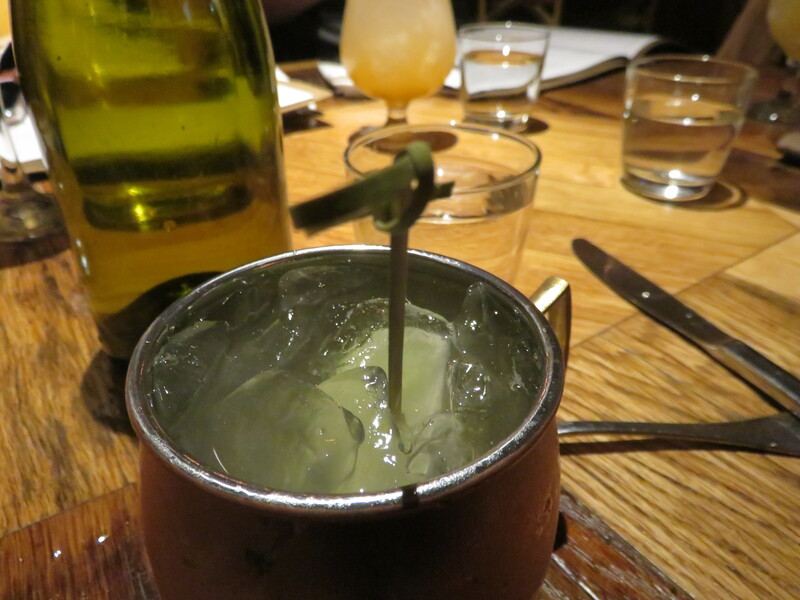 Second beverage service. I thought fruitcake was a holiday-only thing? I always have time for Bob’s Burgers. Through the thick layer once again. 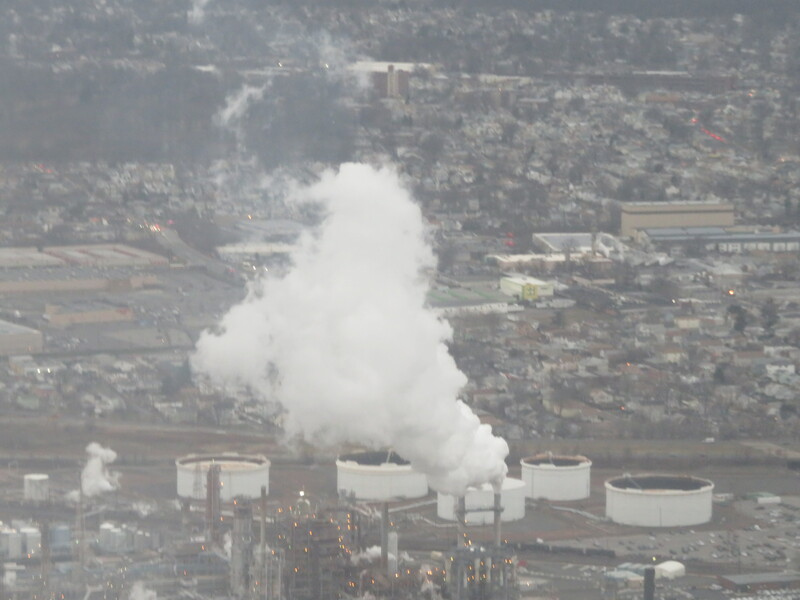 Below the clouds, above New Jersey. Just the way I like it! Once again in sunset mode. Do you like warehouses and refineries? NJ is your place! Touchdown was probably the smoothest ones I’ve had in a long while! The pavement wasn’t so much kissed as it seemed to be gently caressed by our 8, then 10, wheels as we came to a quick stop. Taxi in was quicker than expected and helped us at least be a couple minutes early. 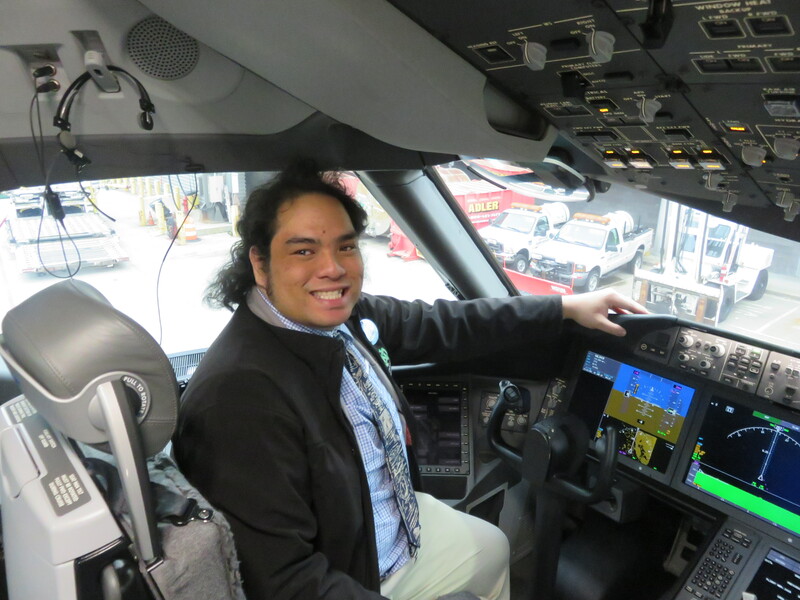 I decided to go up front and grab a quick cockpit picture, and the pilots were gracious enough to accommodate that request. 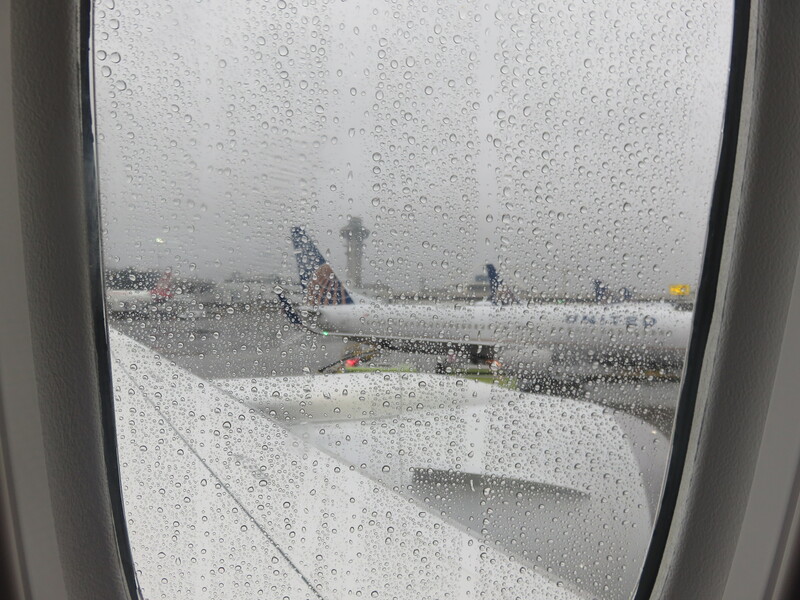 Pomp and Circumstance didn’t translate to a water salute on arrival, but there was plenty at gate C121. 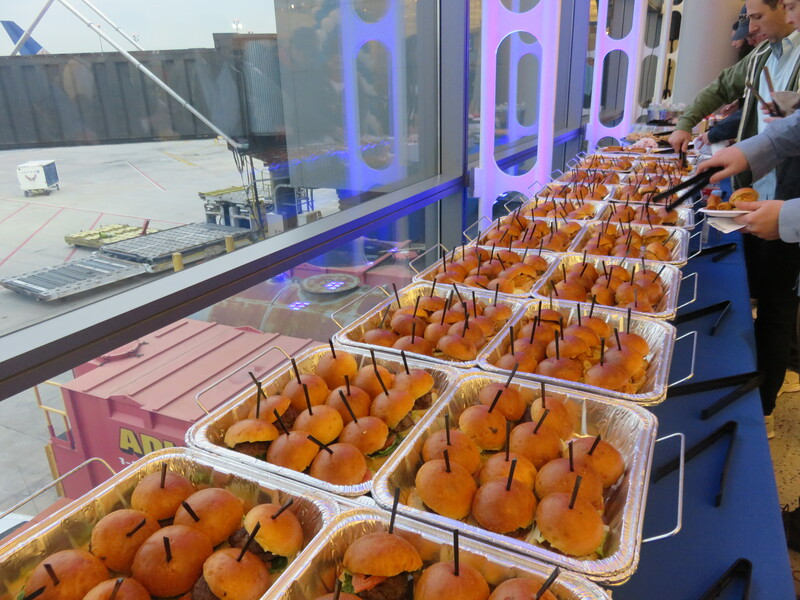 A full spread of food was put out, reporters mingled with the crowd, pulling aside people to get their take on this event. Heck, even I was interviewed by CNBC (my second time in 8 years, mind you!). The final few seconds of airtime before we meet with RWY 04R. Ship 1001’s ETOPs sisters getting their pre-Atlantic crossing checks done. No guesses as to who dominates here! Finally docked into gate C121. Boeing knocked it out of the park with this cockpit. Those are some big 'ol screens! Captain KLASM83. That has a nice ring to it. Polaris seats. Next time, I spring for these! One last look at the 78X. Overall, this was a great trip. Not as monumental as the 747-400 retirement, or even the first 787-8 trip back when they were shiny and new. 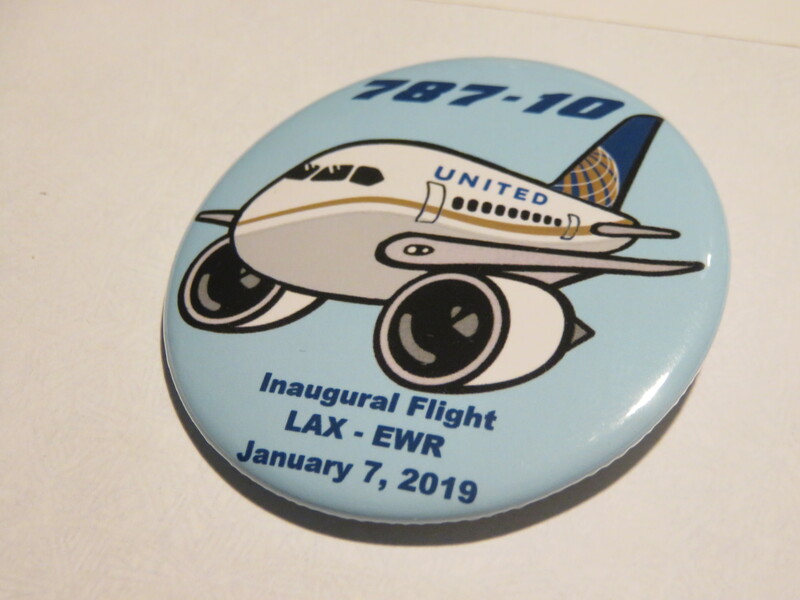 While it wasn’t a true inaugural, United tried and did its level best to make this still feel special on both ends. 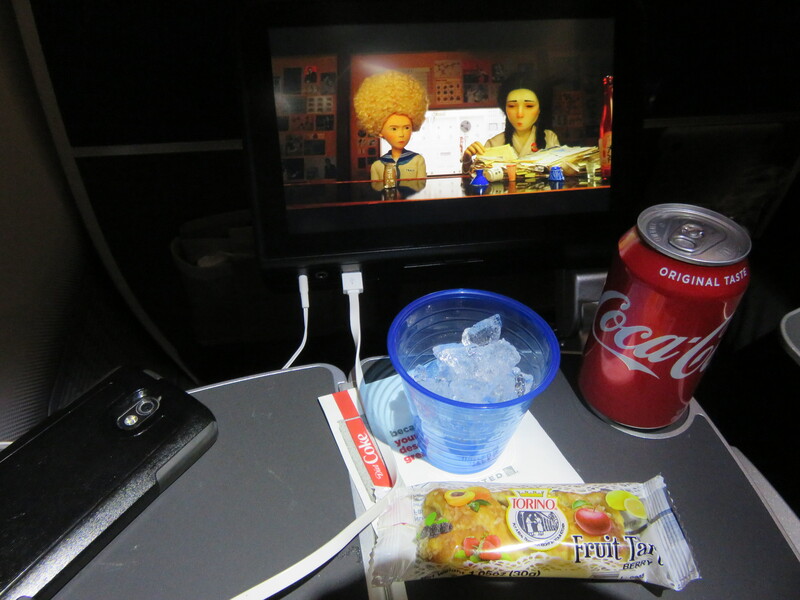 Even more, the Premium Transcontinental product is a great experience-I mean hot meals for free on a US domestic flight? That’s pretty good. 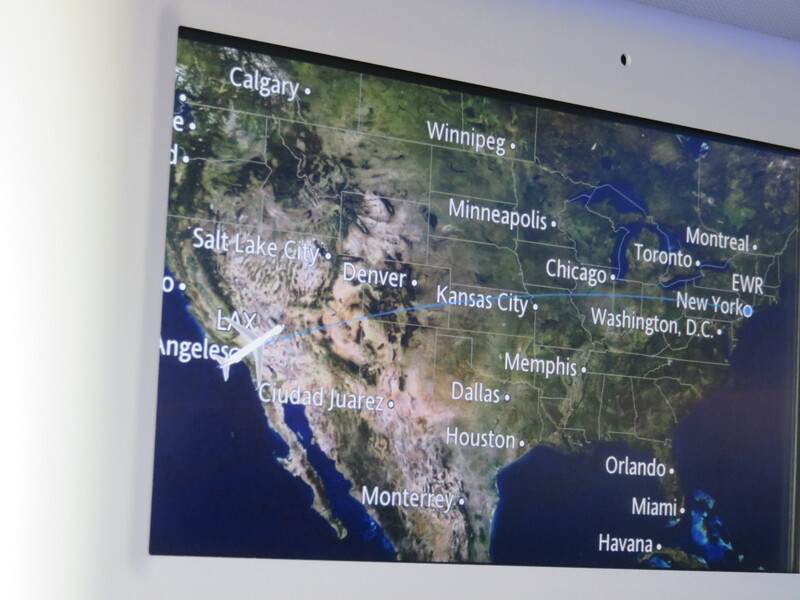 It’s nice to see airlines competing on service once again, and I look forward to the knock-down, drag-out fight required to keep the SFO-LAX-JFK folks coming back. 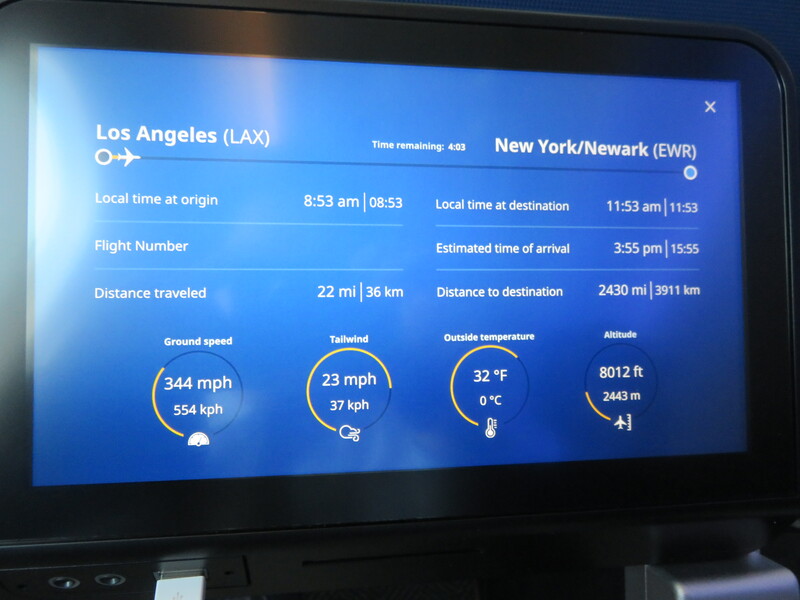 The hard product on the 78X is a treat, and it’s a good sign that US carriers are at least putting some minimal effort in becoming internationally competitive. 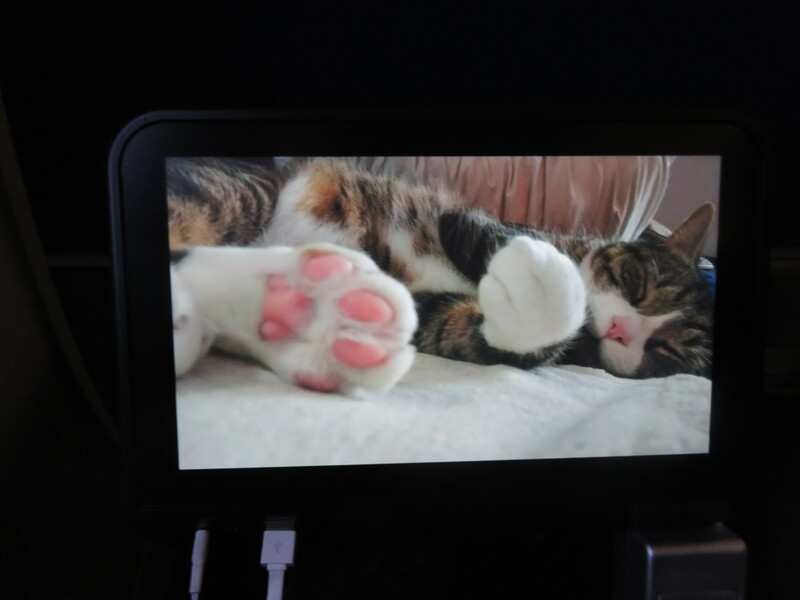 My only tiny nitpick is from an IFE perspective, as there was no audio that wasn't part of a bigger playlist. One would have to sit though an entire 1-hour program, randomly tapping on the progress bar of the IFE to see where their song was. I prefer Delta's way of loading audio, by record and individual track. The best part was the people (I know, I, know hokey lol). Meeting many wonderful, knowledgeable and funny folks all together reveling in aviation nerdism pretty much made the start of 2019 a great one. Aviation nerds are the best. 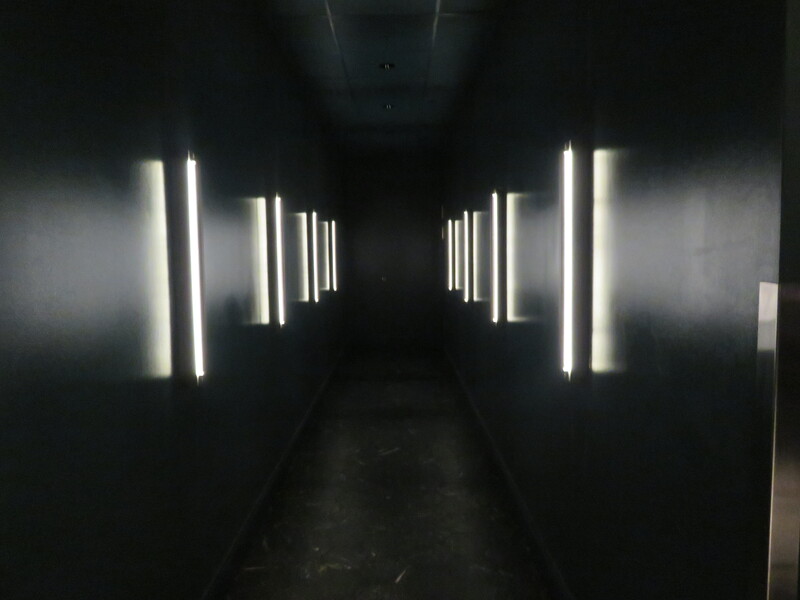 Nestled in the back of the Saison restaurant, a short walk away from C121, is Classified, the worst-kept secret, ever. Once The Points Guy cracked that story wide open, it became less of a secret. Nonetheless, it’s an exclusive, invitation-only experience reserved for the privileged, the lucky, or those fortunate to know those who are. 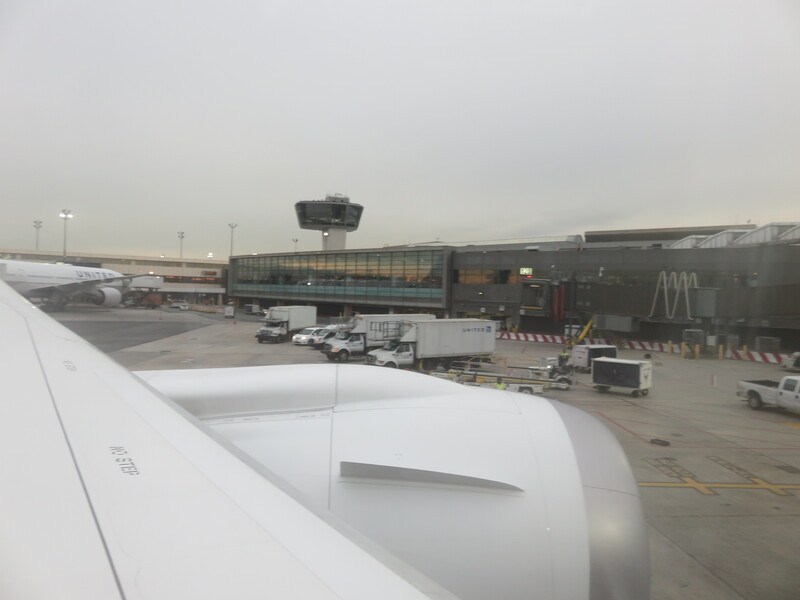 There was a party of 10 of us, and we were attentively seen after by our server, who was also quite knowledgeable on how to navigate EWR. 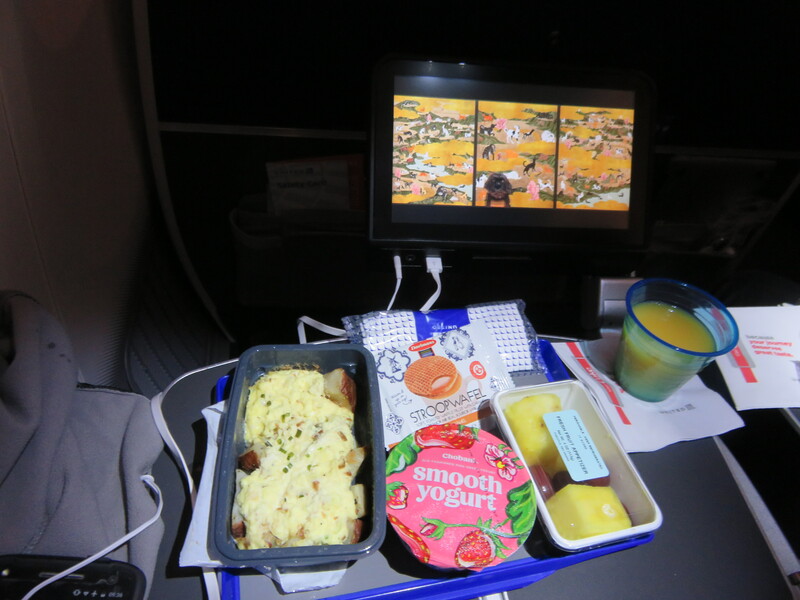 While the meal was quite spendy, as mentioned in TPG, United Mileage Plus Explorer cards get 20% off, and one in our party got completely lucky and had their meal comped. Overall, a wonderful last meal before we all had to go our separate ways. Actually the front of two restaurants. I feel like I’m running moonshine during Prohibition. What was the password? Who sent me? 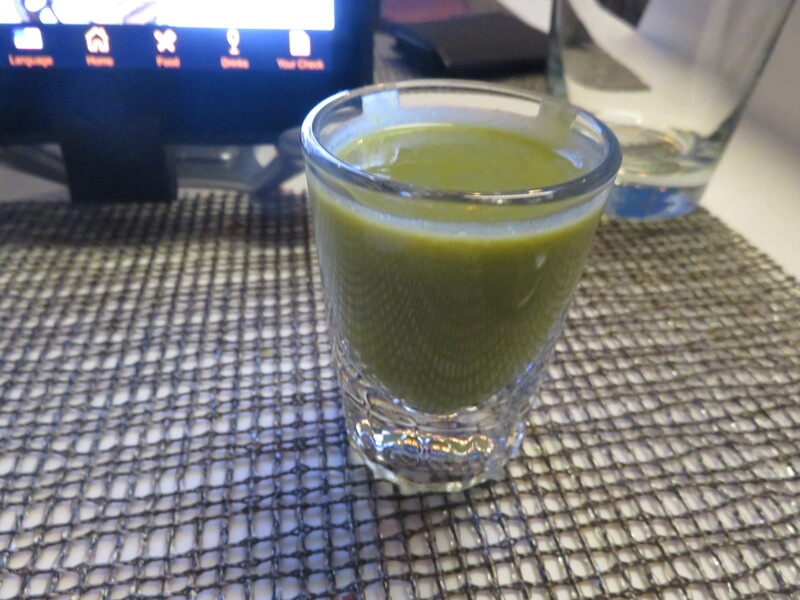 Chef’s special: a complementary shot of pea soup. Surprisingly tasty. 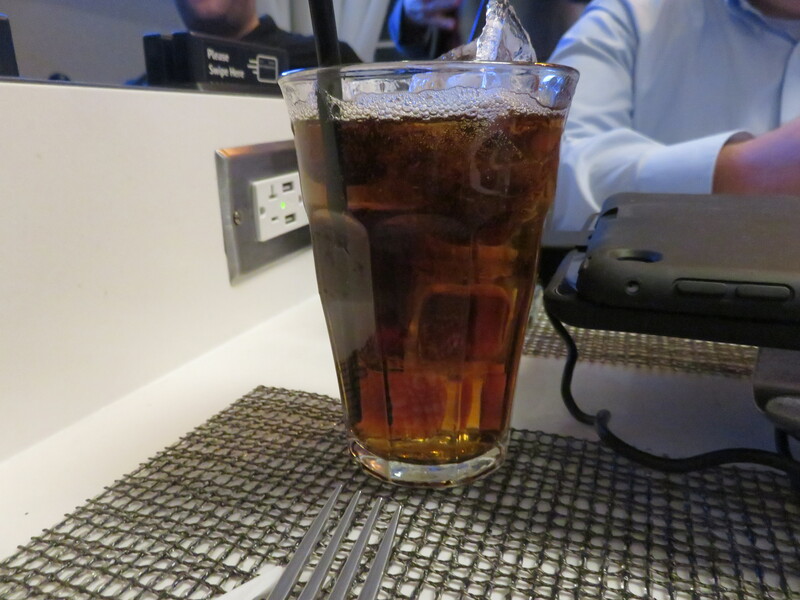 ‘Supose if I pay $10 for whiskey and coke, I better get a lot of it! My many thanks for reading! Have a nice day! Great report!! Beautiful aircraft, well done United. 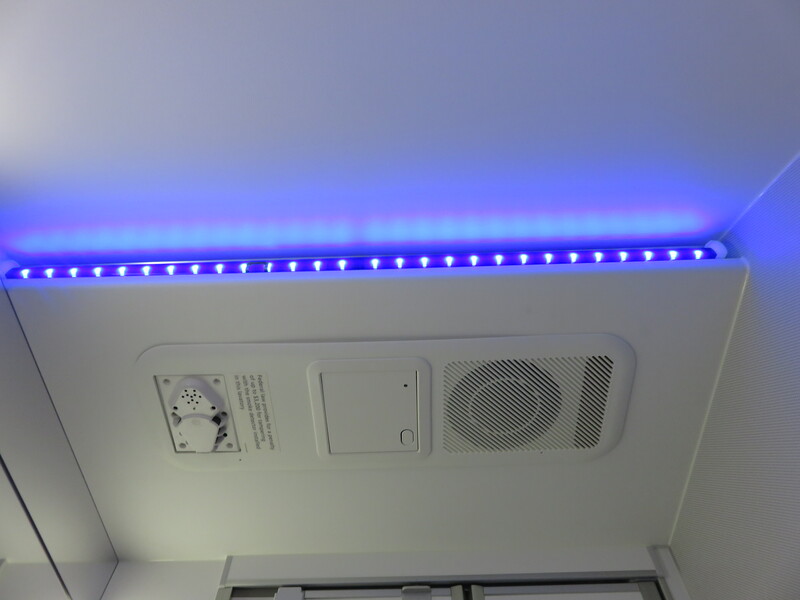 It's also really nice to see all of the effort UA put into this to make it special for its passengers. 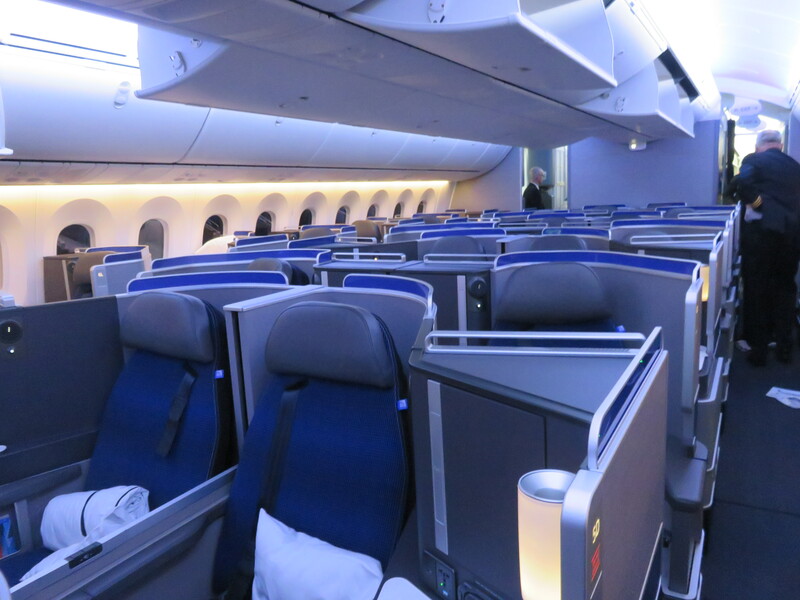 It's as much, if not more, than was done for the induction of the first 788. Thanks for posting, and awesome pics. 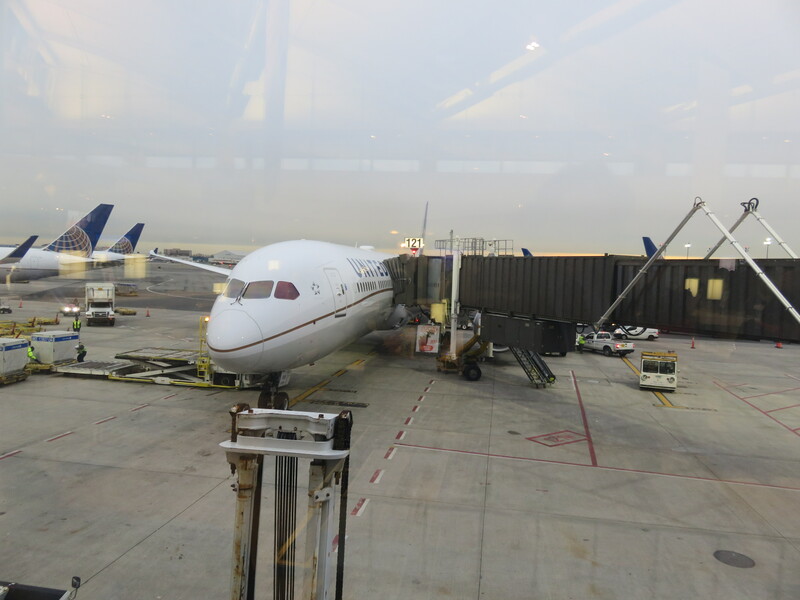 I have yet to fly on ANY 787 and hope to sometime soon. Very nice report. 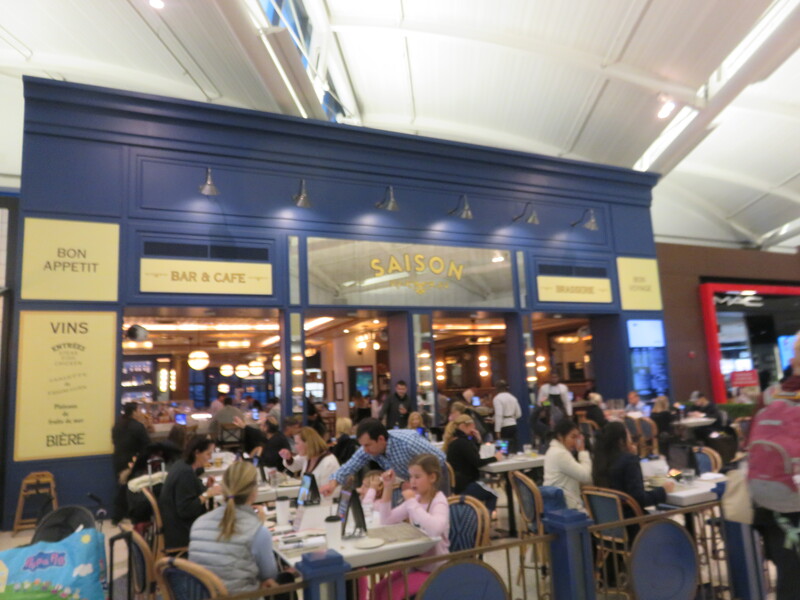 That breakfast looks better than the one I had flying F from LAX to ORD for Thanksgiving. The T7 remodel is really a lot nicer than it was 10 years ago. for the sights you long to see. you’re alive, so come with me. 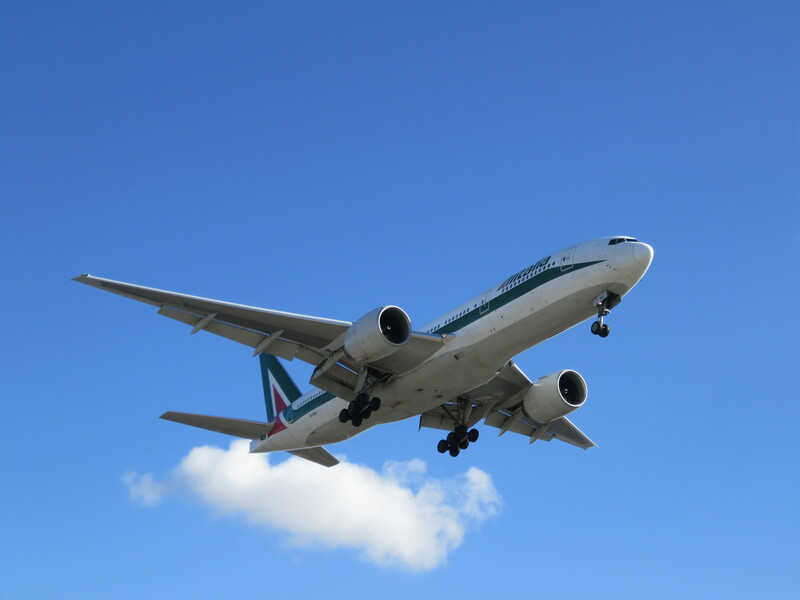 TWA, up, up, and away! Thank you much, I was quite pleased to see all that rolled out for us, too! If only this had been the actual first flight, but they still made it special. My thanks for reading! 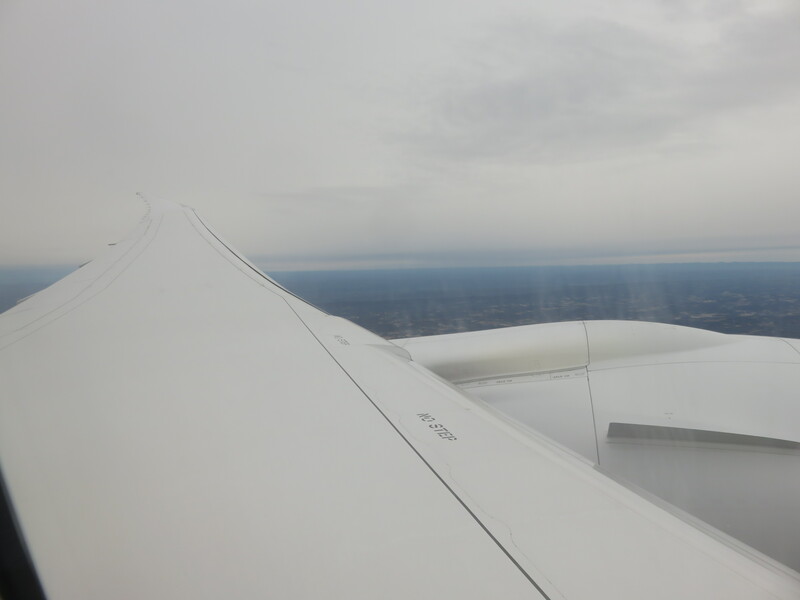 The 787 is a great airplane in any of the lengths! Thank you for reading! I remember flying 1st on pmUA back in 2009, and this meal seemed better and more substantial than that one. And, yes, I do love that T7 remodel, took it from 1993 to 2018! United did very well here. Very well written - thanks for sharing!! 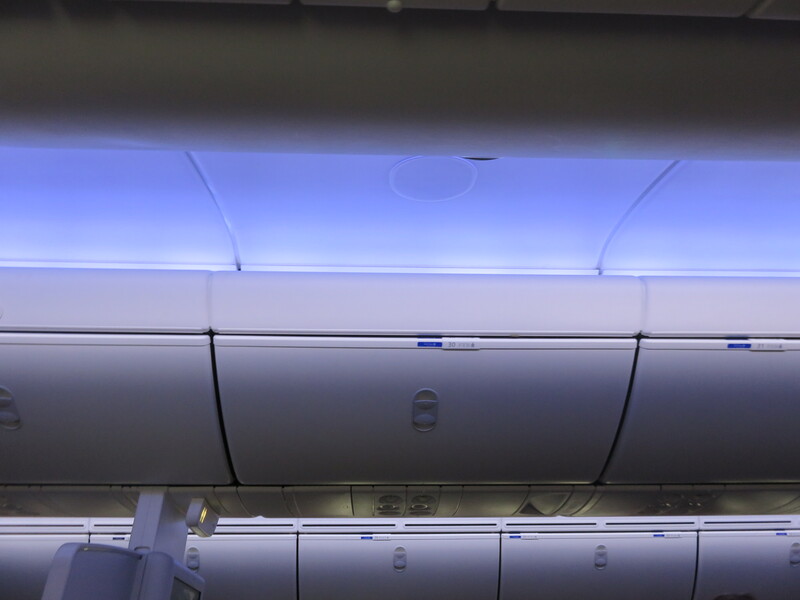 It will be a while before I will be able to get on a 787; however, reports such as yours remind me that they will be around for a long time, and in the meantime I can say it looks wonderful. 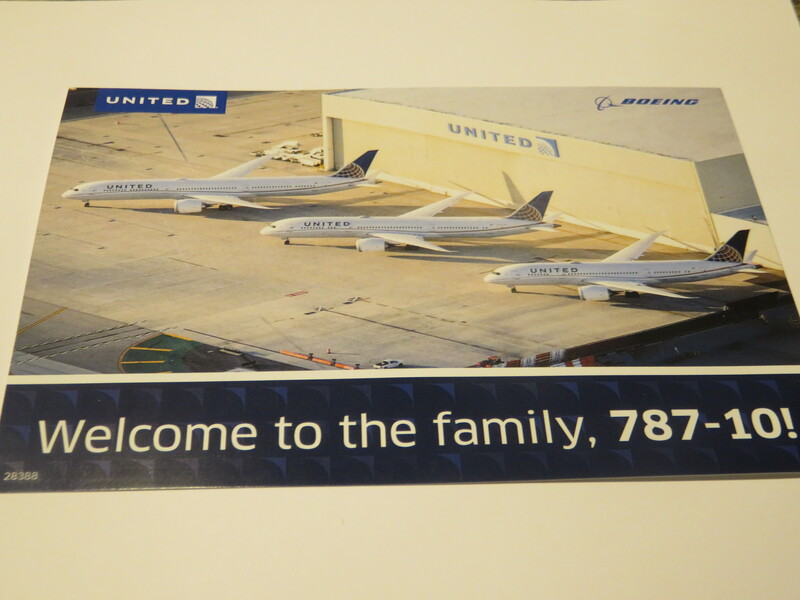 Ironically enough, my first 787 will probably be United! Very nice report. I take you like beef in all of its majestic delivery formats? I was astonished by your photo of the PE cabin, couldn't believe what I see. Now checked Seatguru. 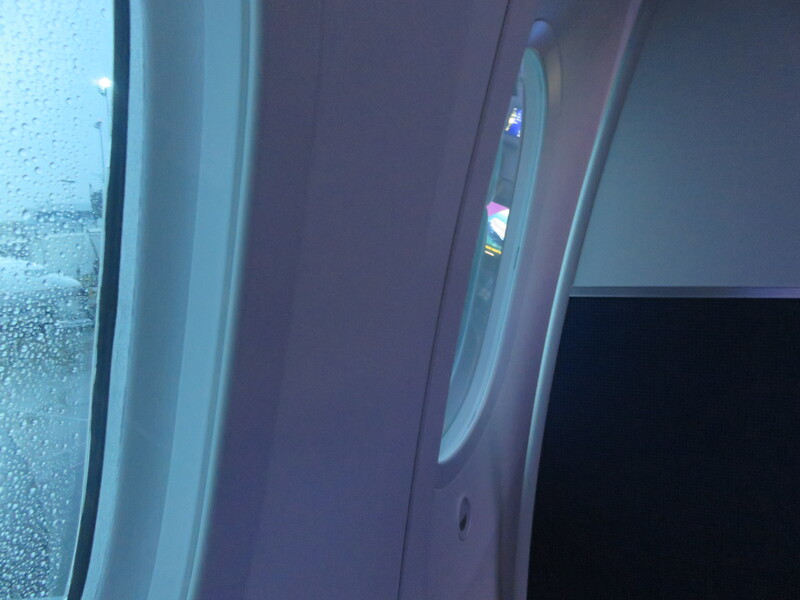 UA is really putting 3-3-3 into their Economy Plus cabin? That's really greedy. Nice report anyway. 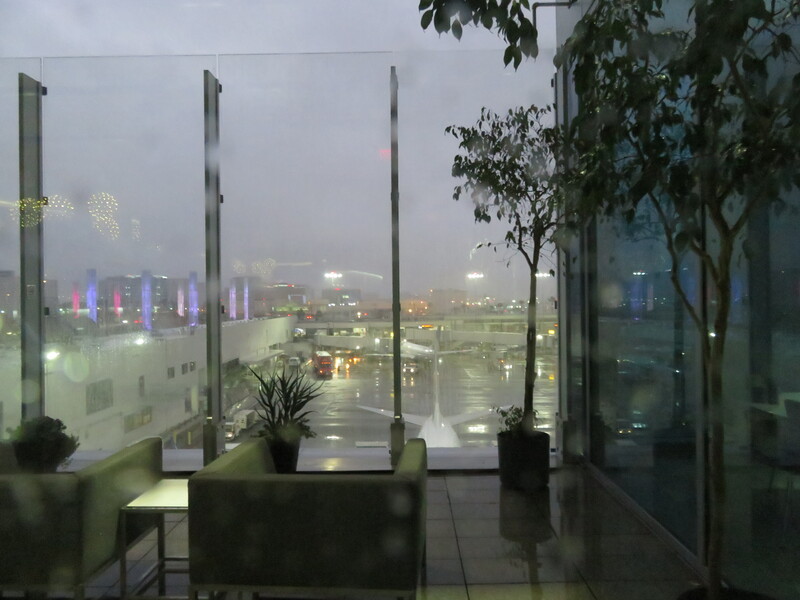 What's the thing with the secret lounge at LAX? Econ+ is strictly about pitch, going to 36" (I believe) from 31 or 32". 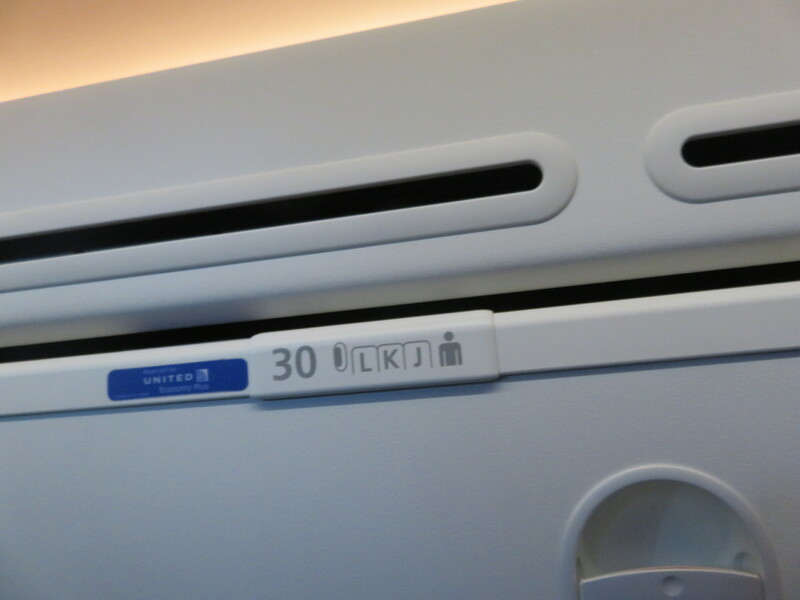 I don't know of any US carrier offering the equivalent of UA's Econ+ with fewer and larger seats in each row. 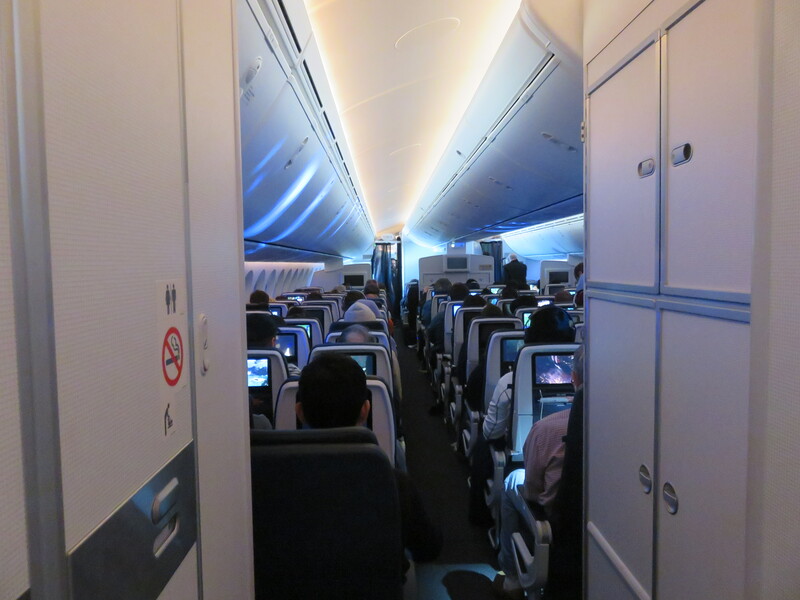 They'll also be introducing a more standard 2-3-2 Premium Economy that will offer the step change in seat comfort (at 2X the base fares of course). 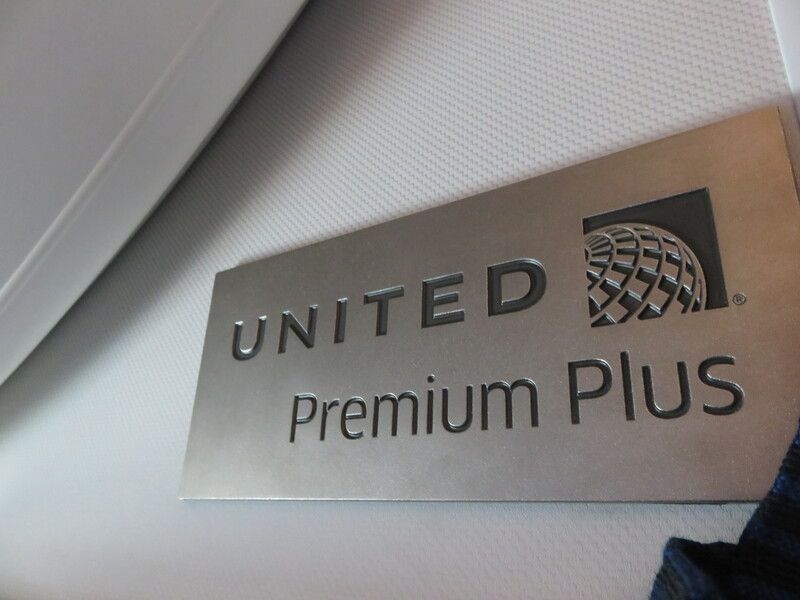 I think you're confusing Economy Plus with Premium Plus. Premium Plus is 2-3-2. I've flown it. It's a great seat! So interesting they still have stuff from the merger! Many thanks for reading! 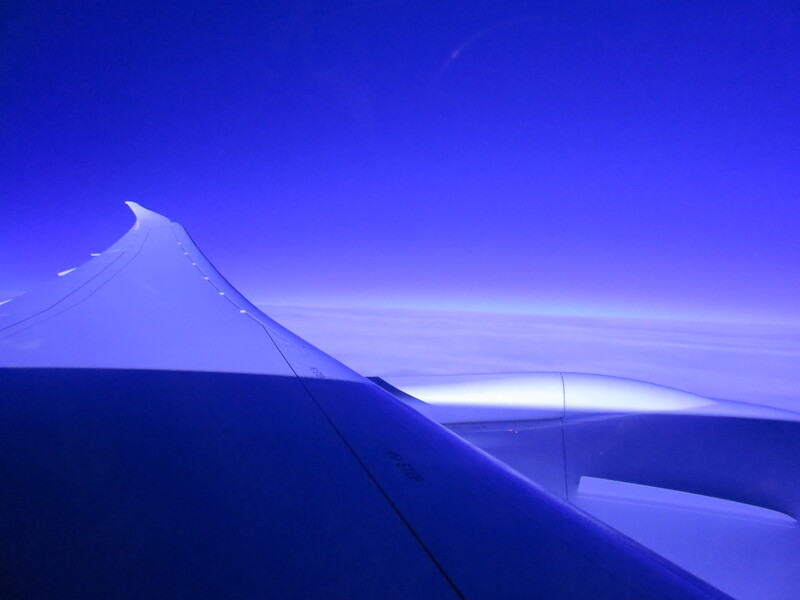 One day, you'll get on a 787, and it will be amazing, I know it! Thanks much! 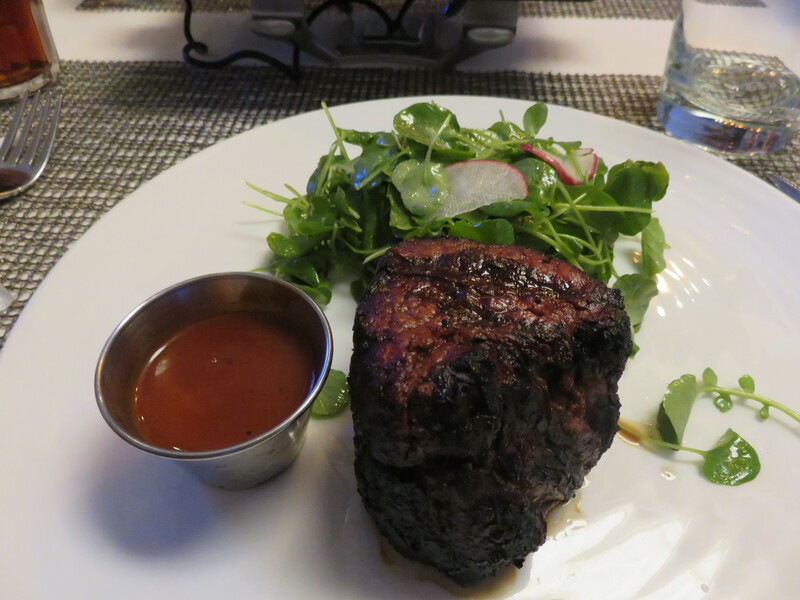 I love beef in every which way, except in liquid form LOL. Usually, I try to vary my diet, but sometimes exceptions must be made. Hi! Thanks for reading! 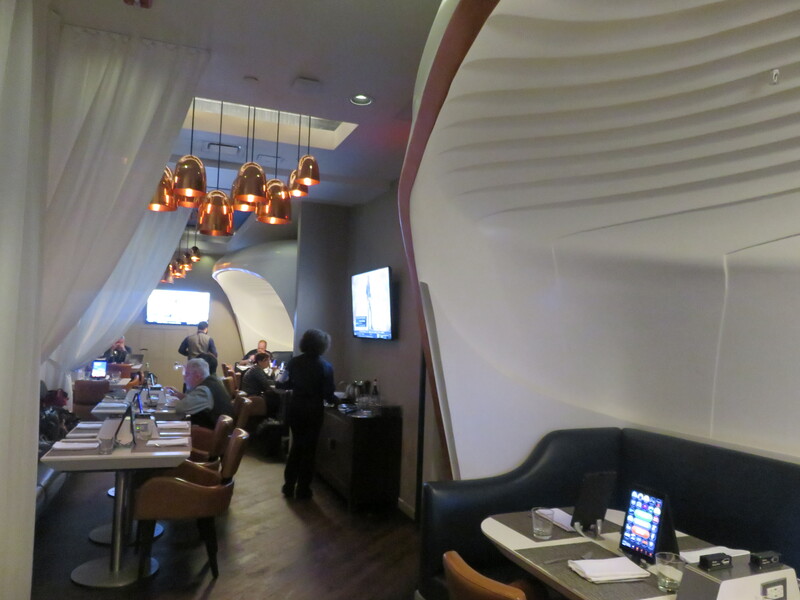 The EWR secret lounge seems to be invite-only, but I got lucky and hung with the right people, otherwise, my pleeb-self would not be let in. Thanks for reading! I guess an ATLAS container isn't the most visible thing ever, so if it isn't broke, why fix it? Fantastic report, and thank you very much for taking the time out to write this for us. 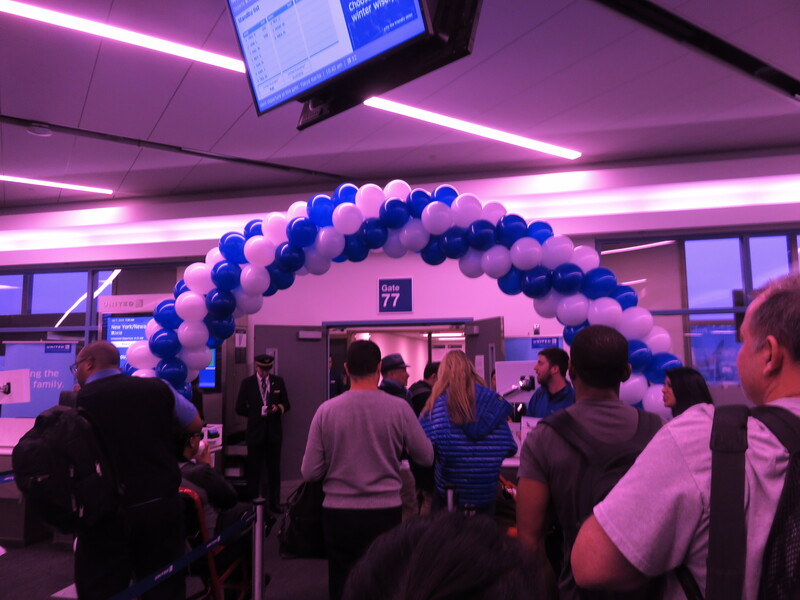 Always exciting to be onboard an inaugural flight and the celebrations showed so. Awesome pictures too.